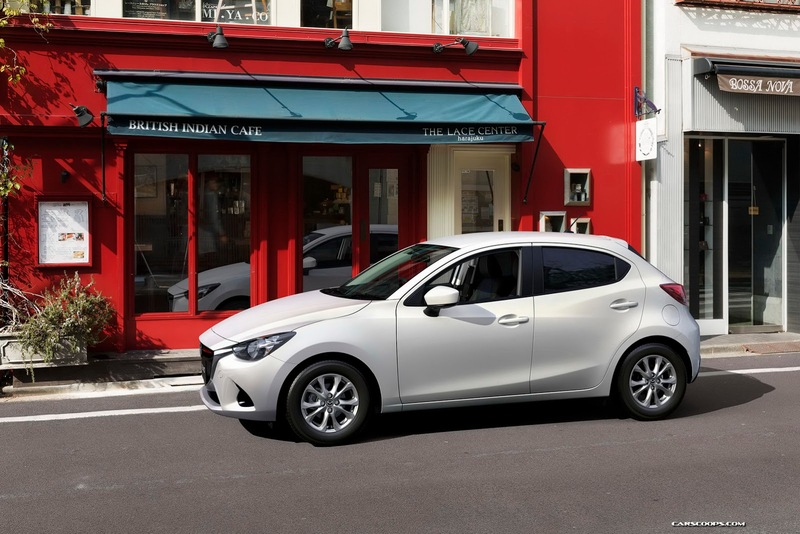 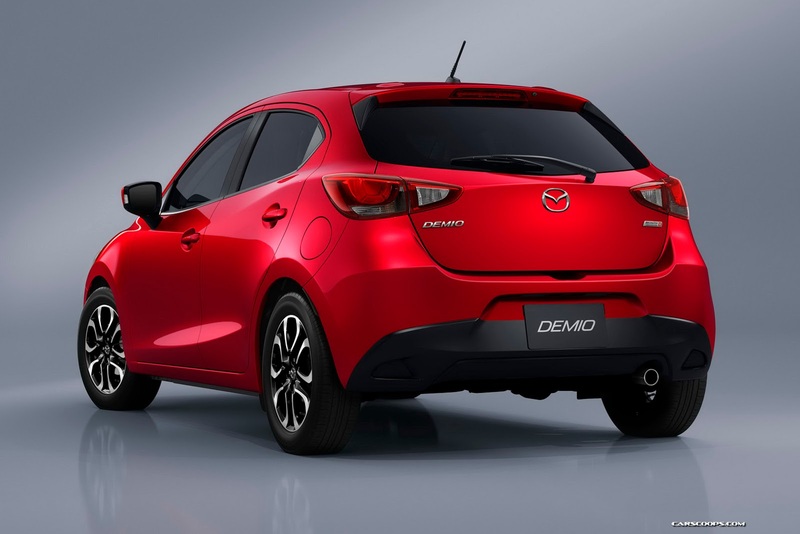 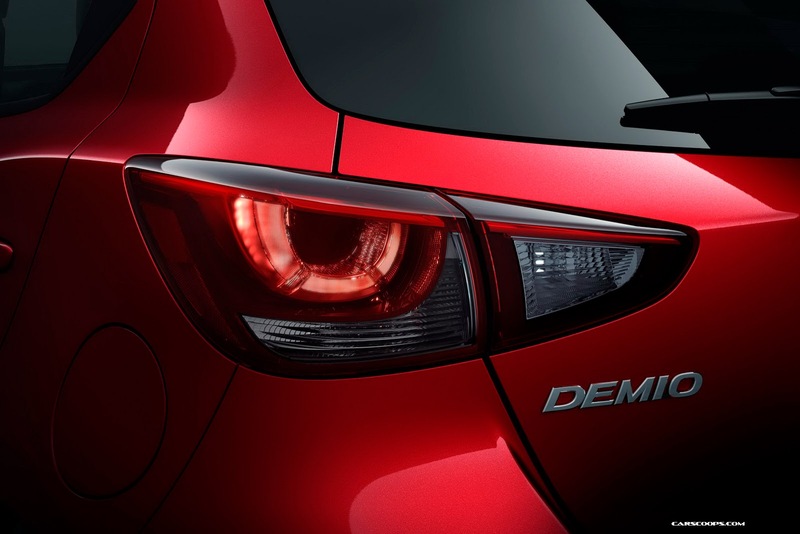 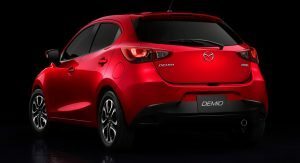 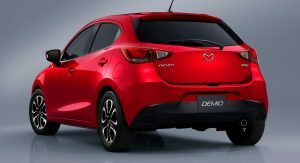 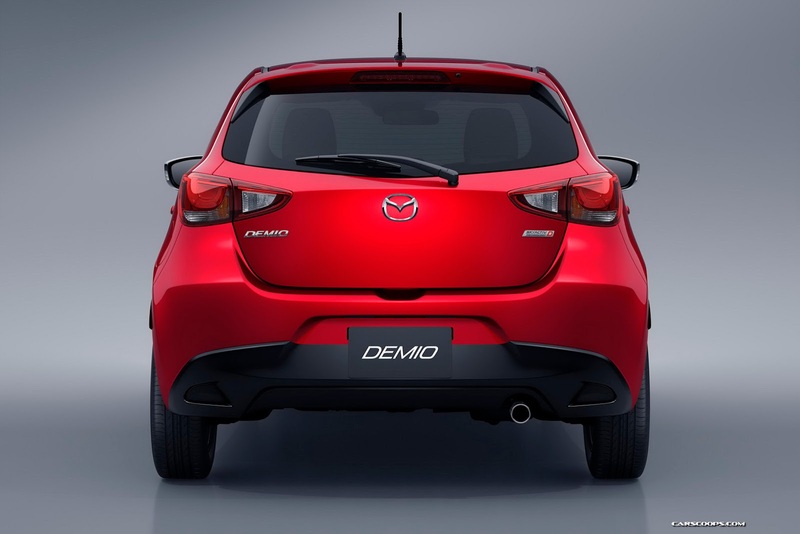 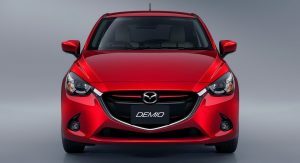 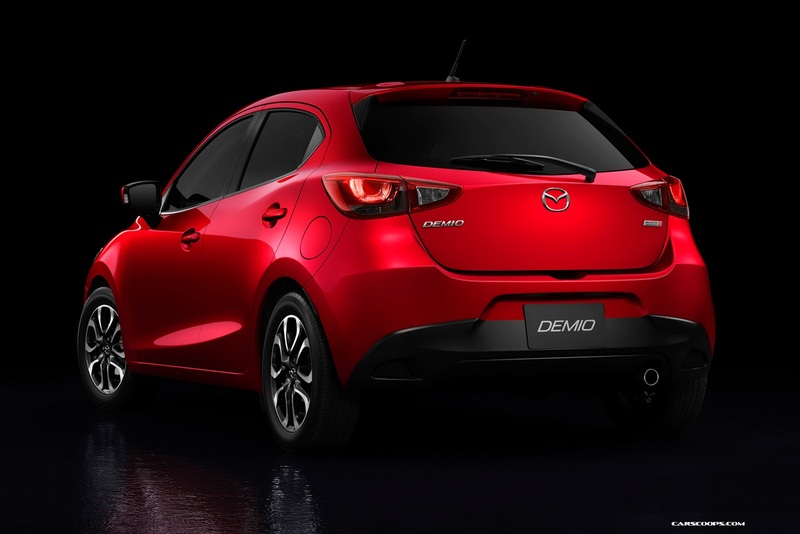 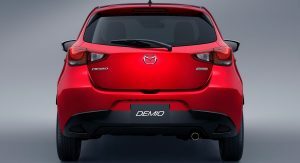 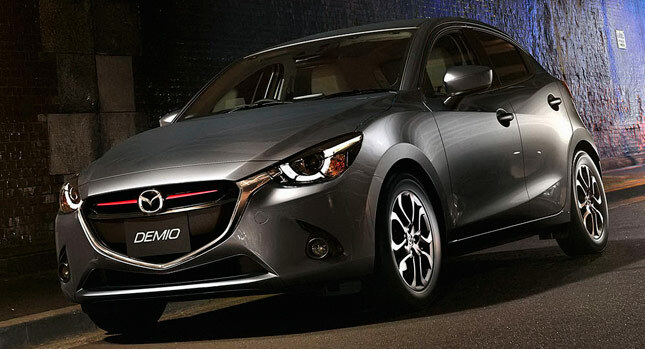 After catching a glimpse of the all-new Mazda2 earlier today, the Japanese carmaker went ahead and officially revealed its new supermini that keeps the Demio nametag for the domestic market. 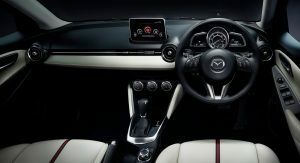 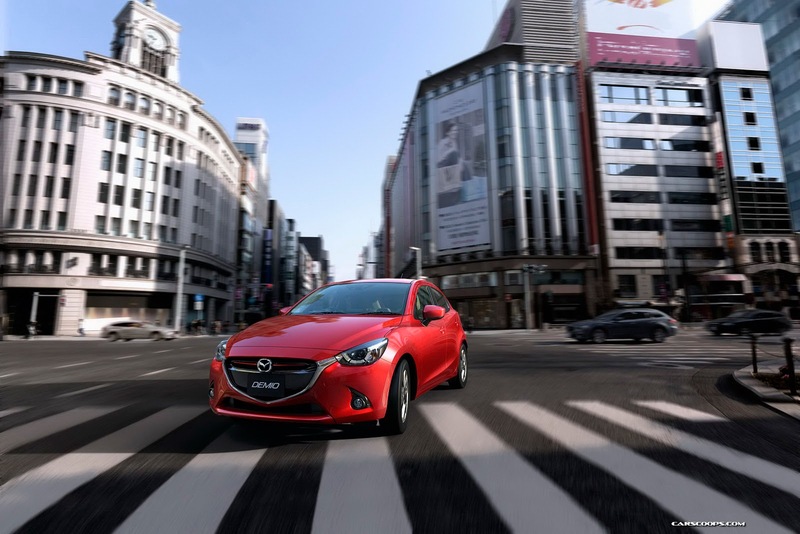 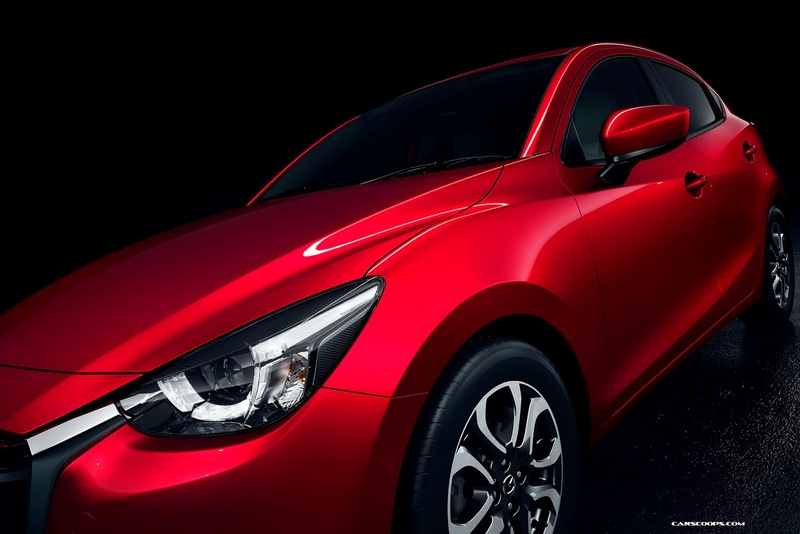 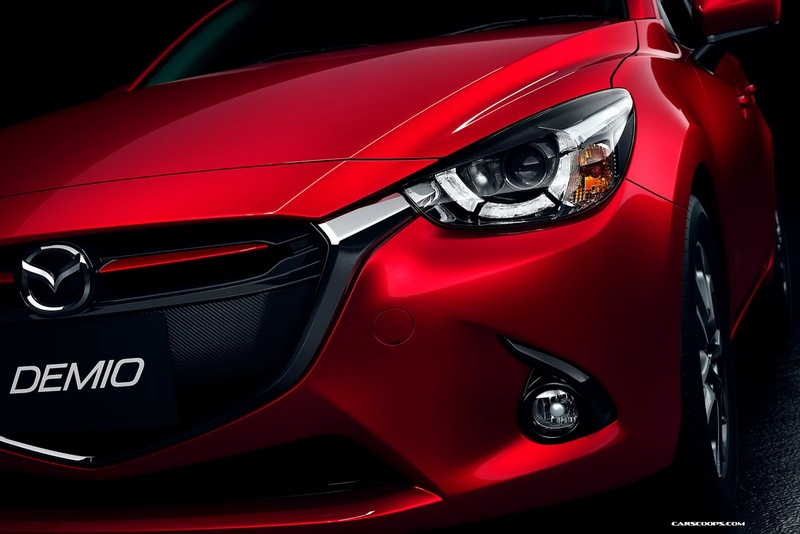 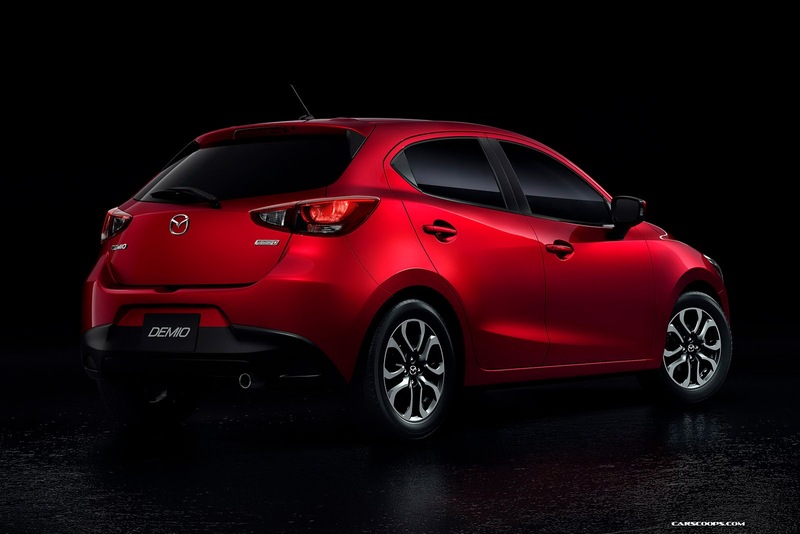 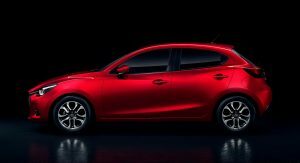 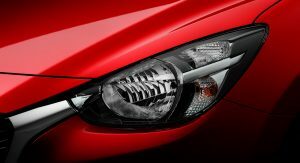 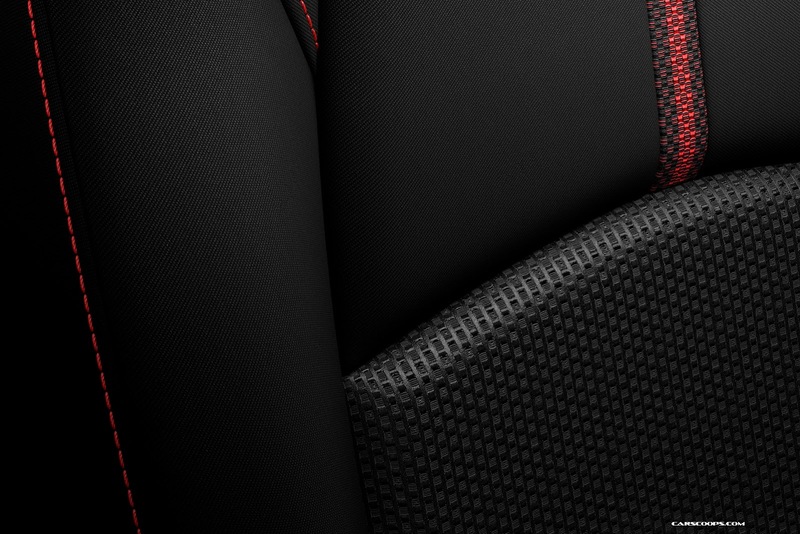 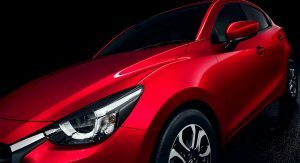 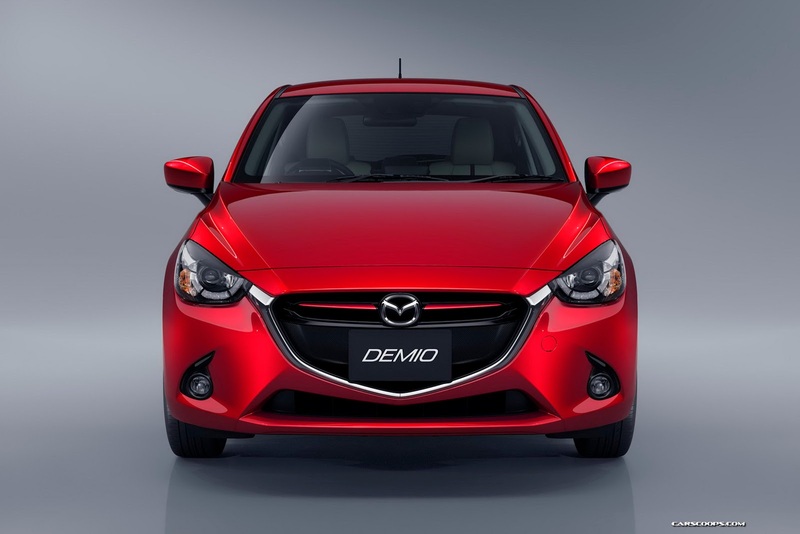 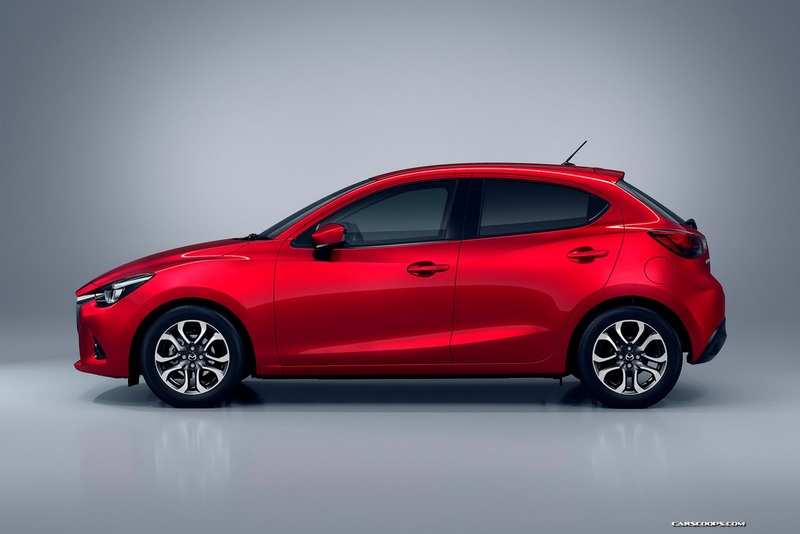 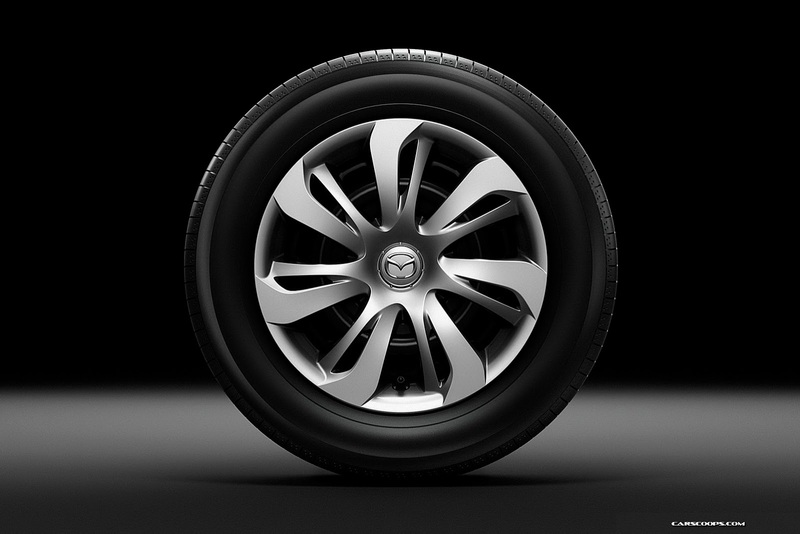 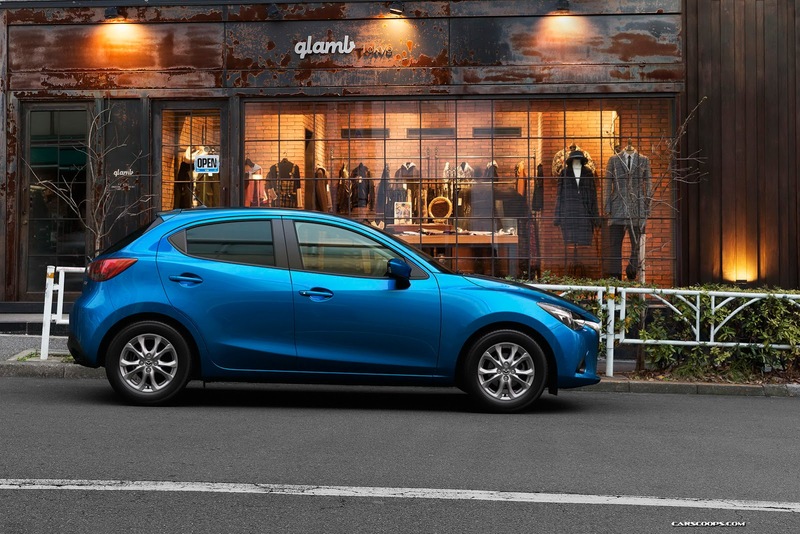 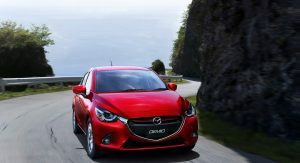 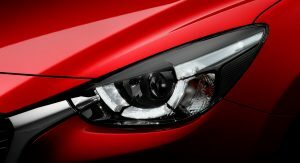 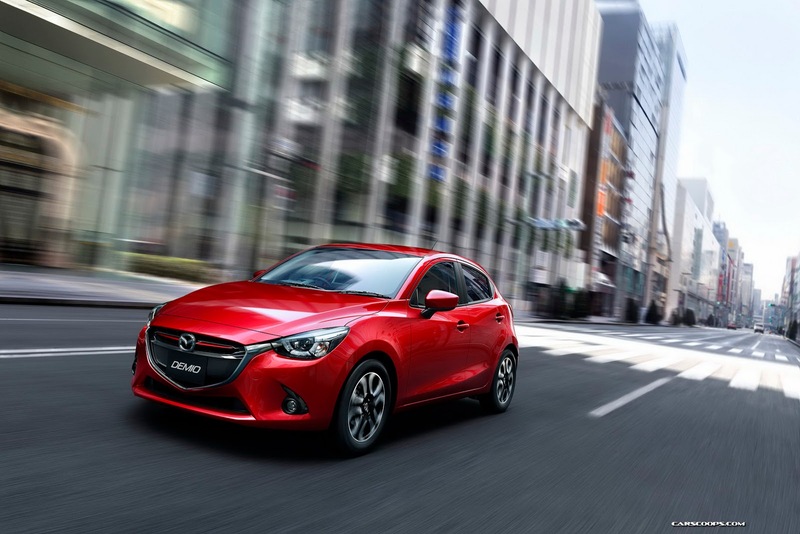 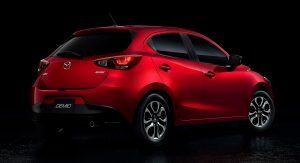 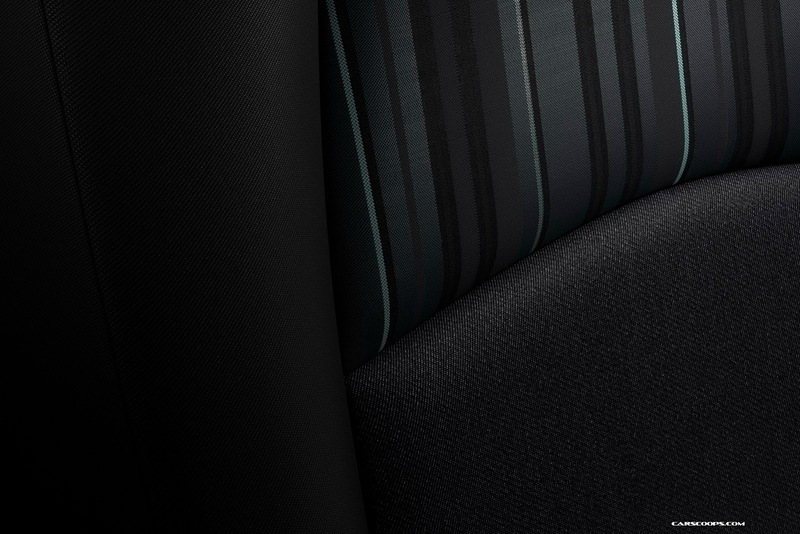 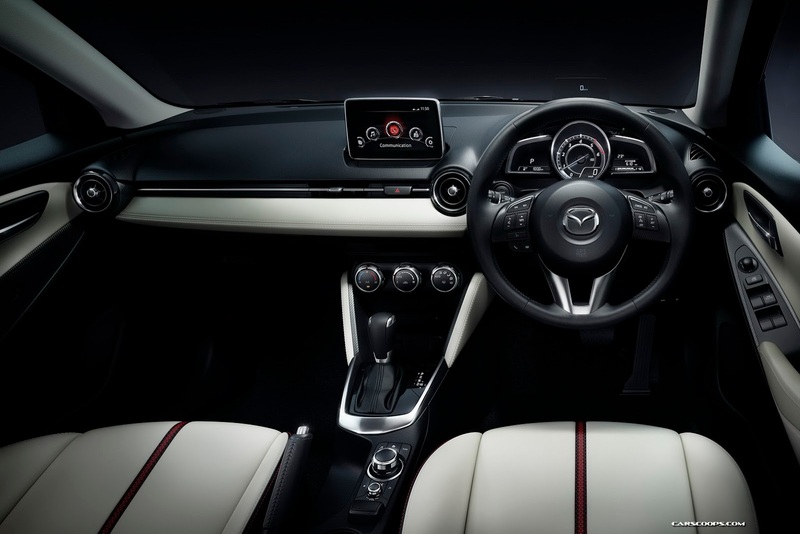 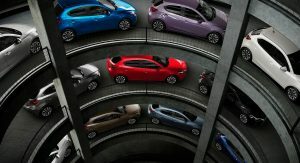 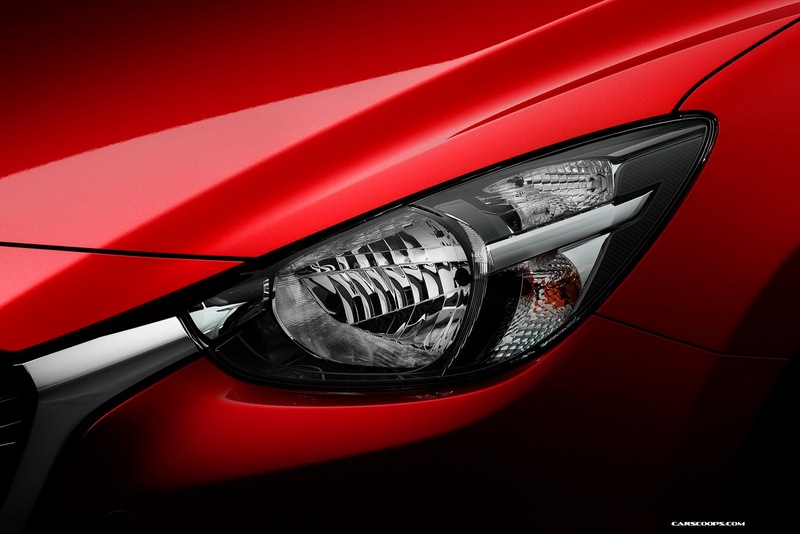 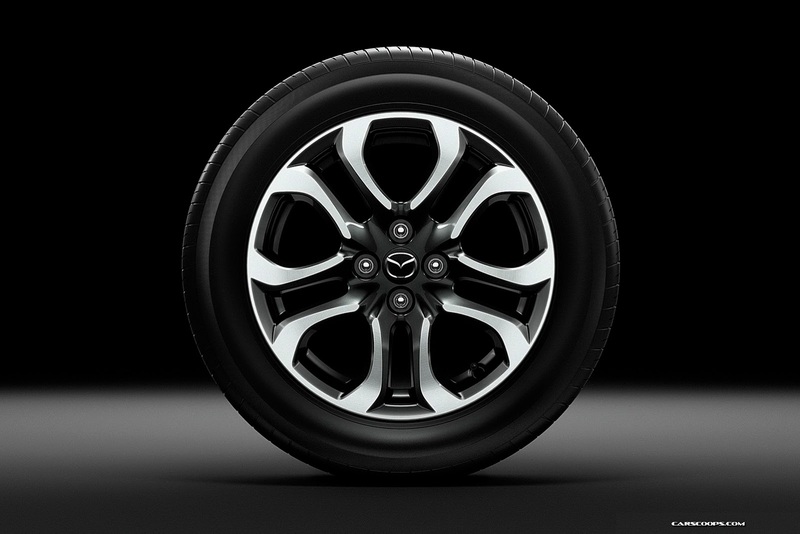 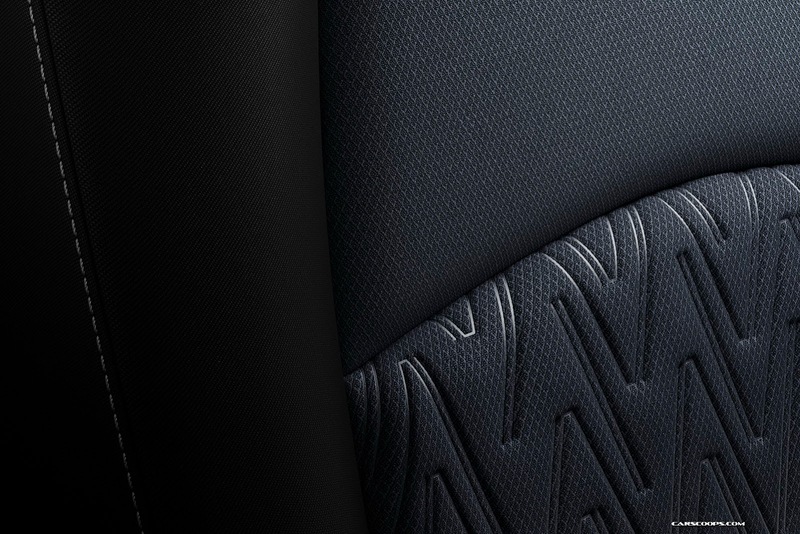 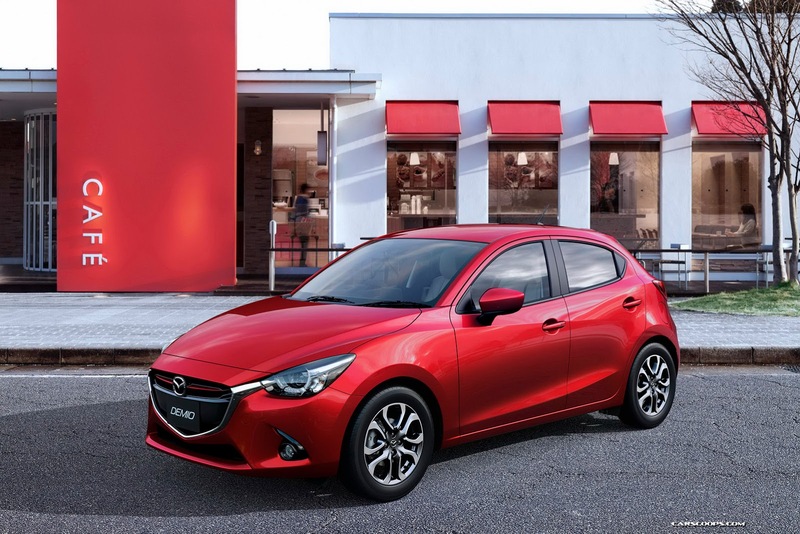 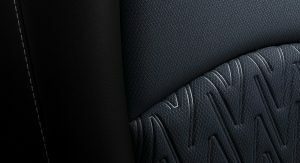 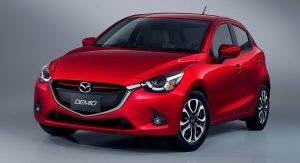 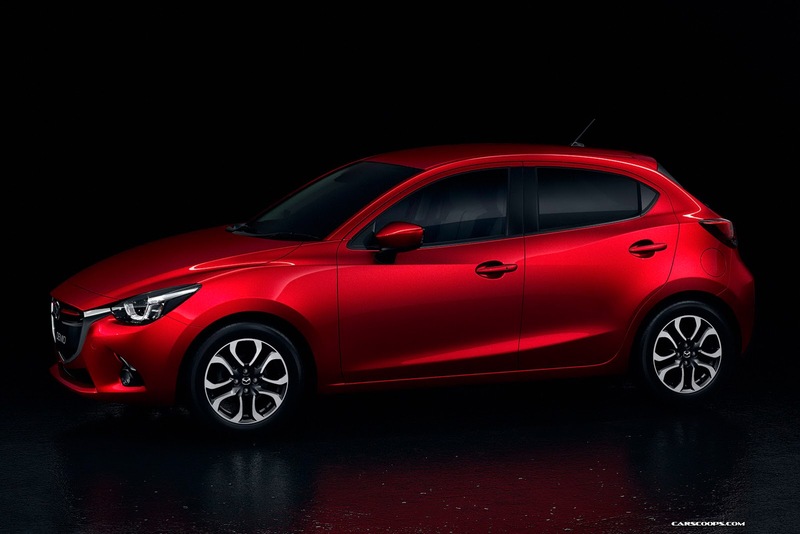 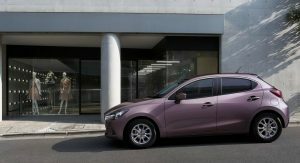 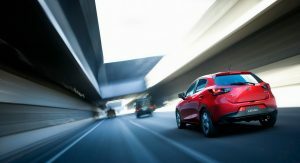 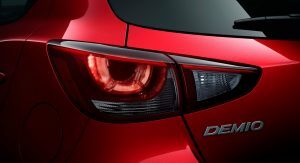 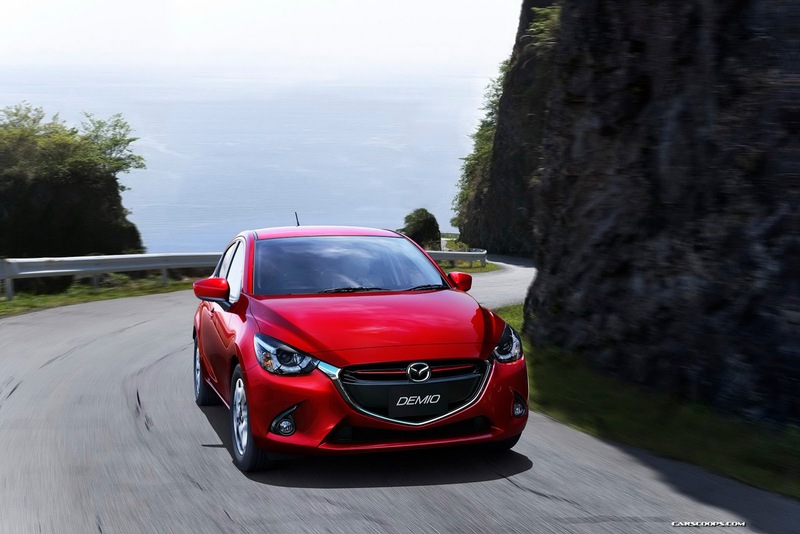 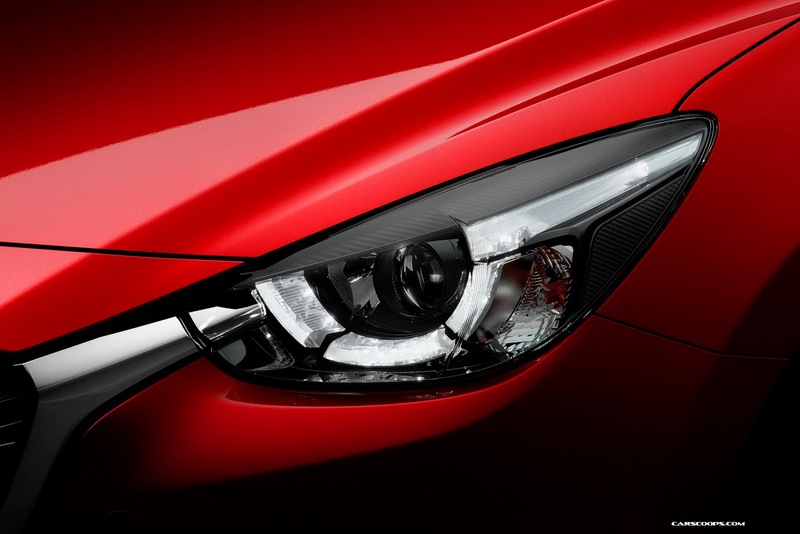 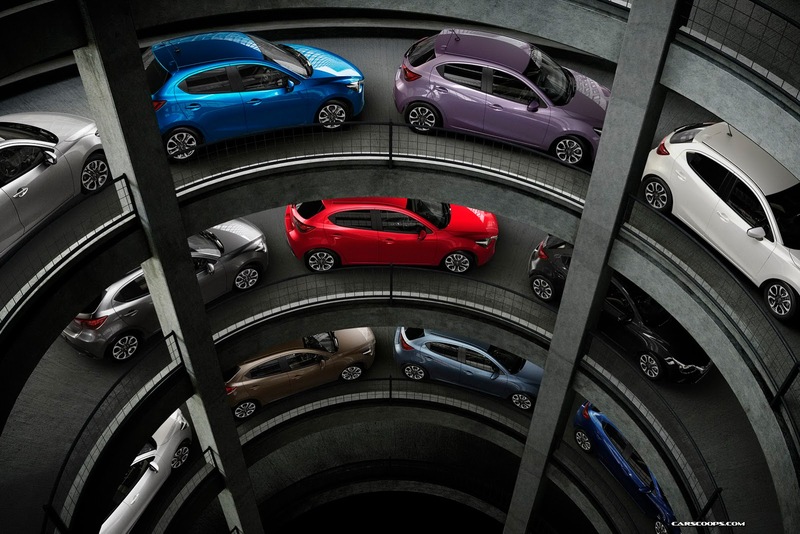 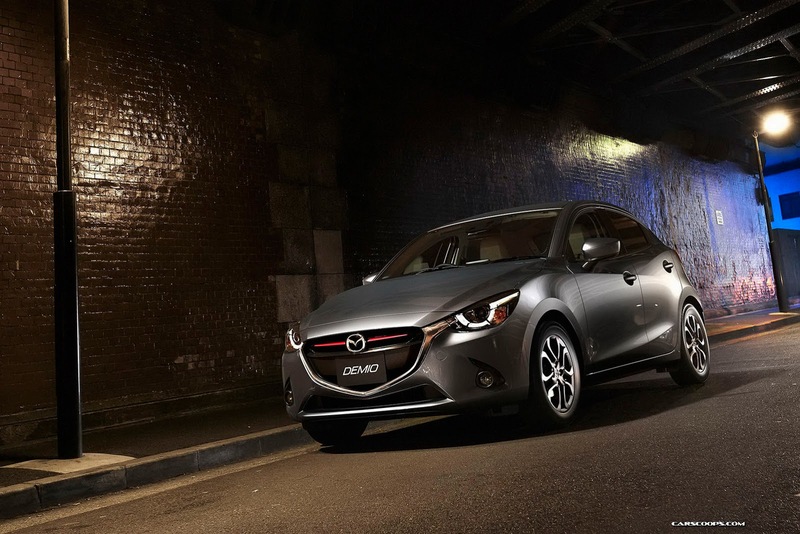 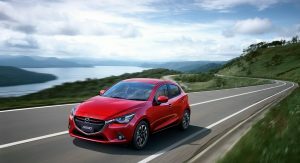 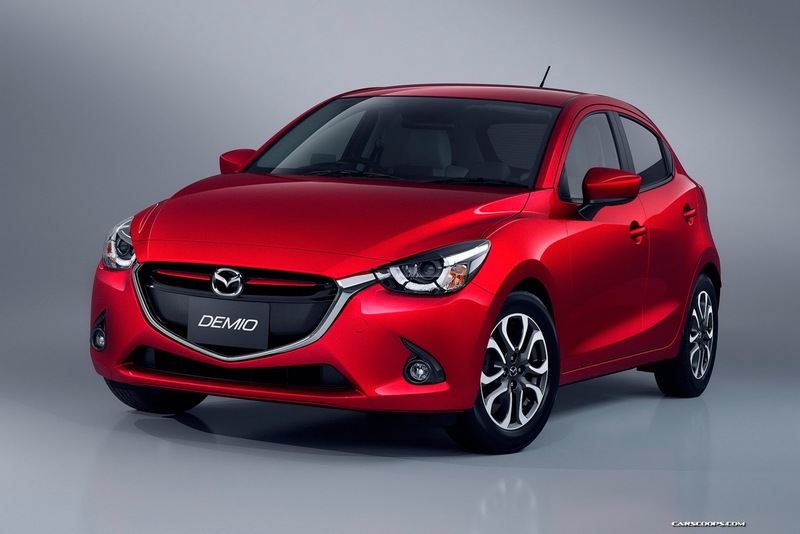 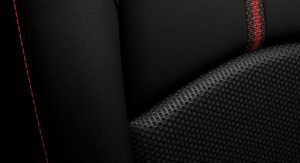 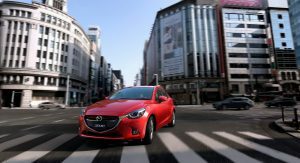 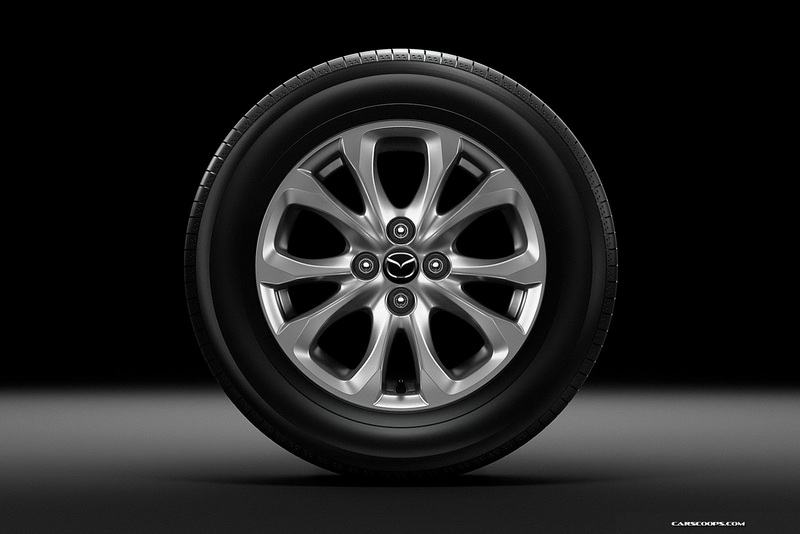 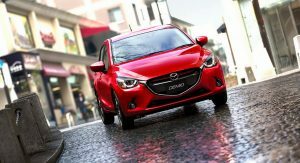 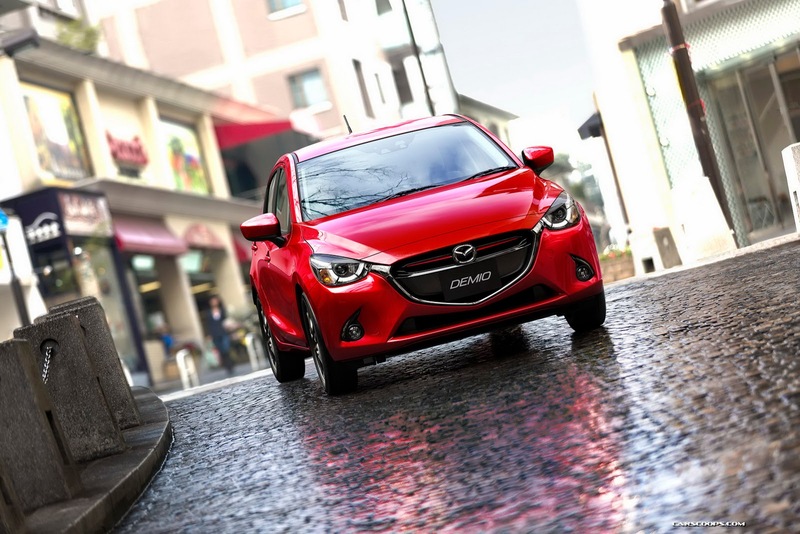 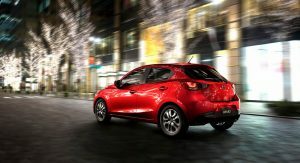 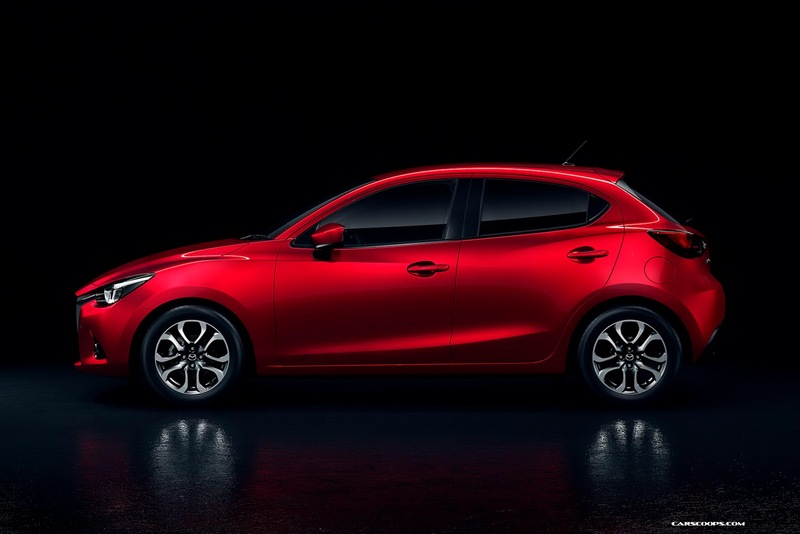 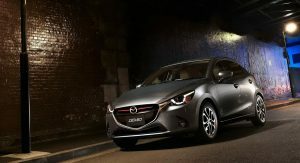 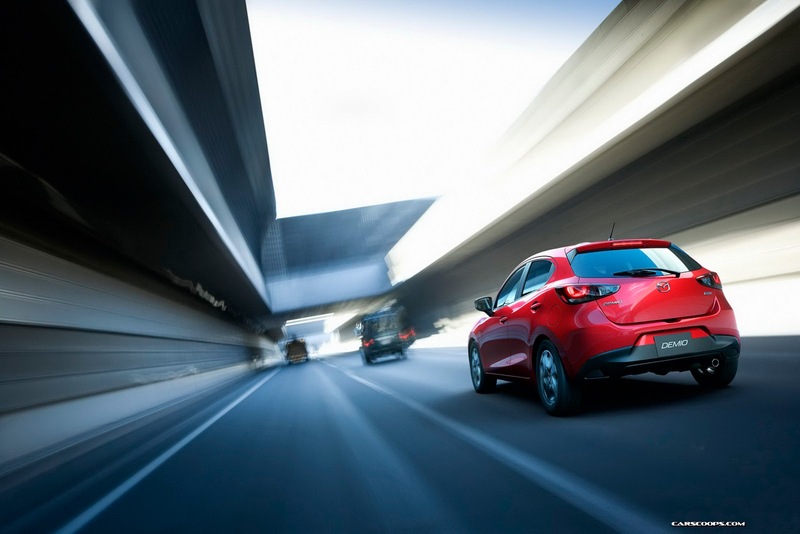 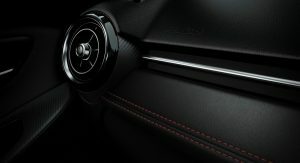 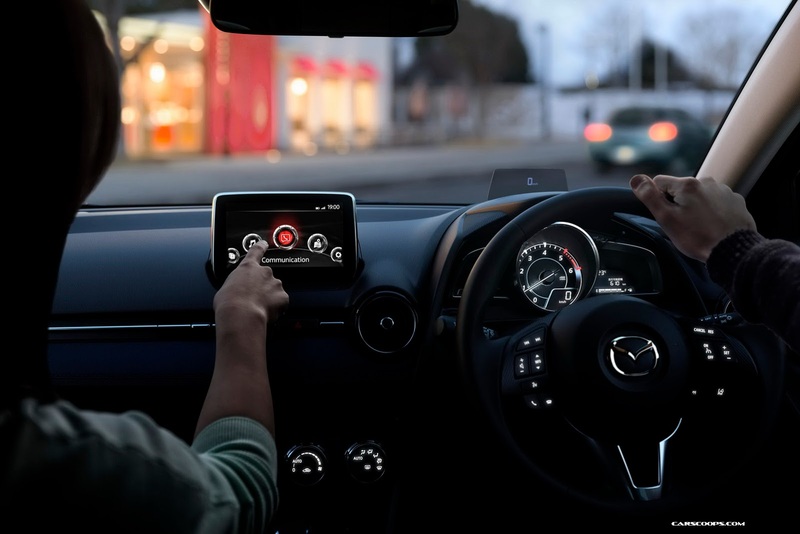 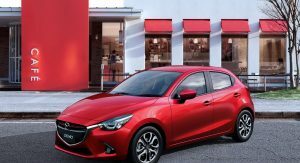 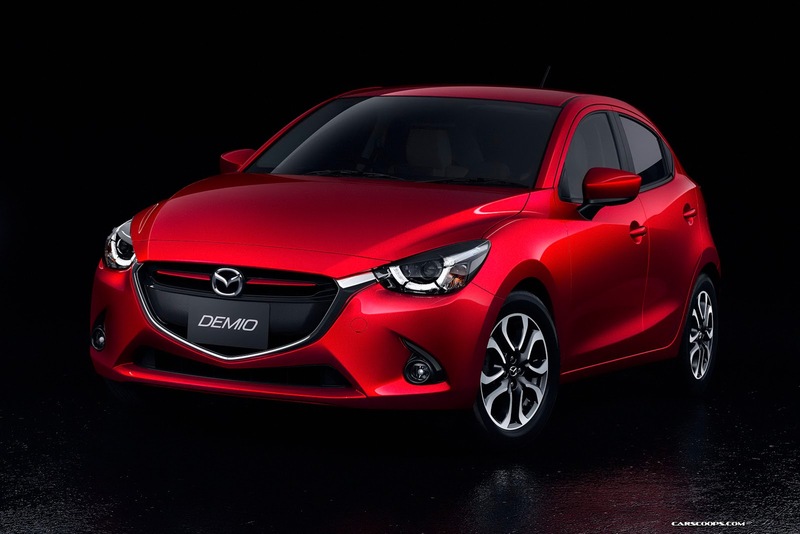 The new Mazda2 will begin to roll out in global markets (including North America) in the final quarter of the year. 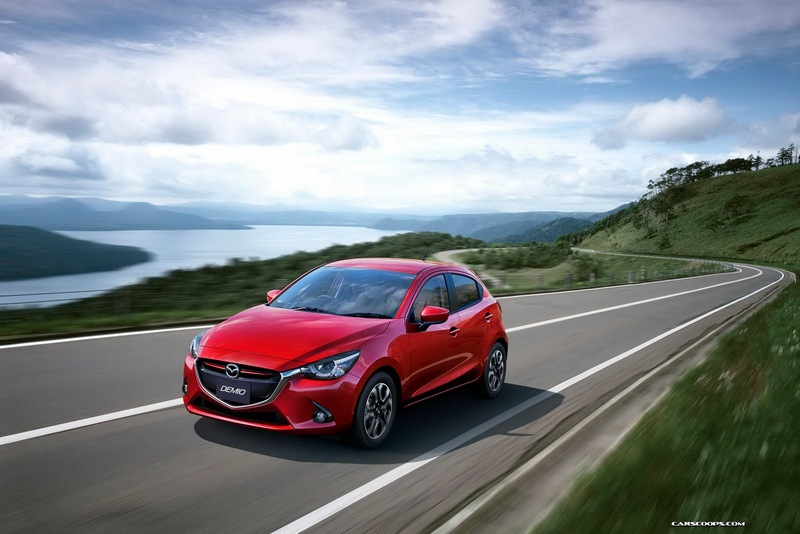 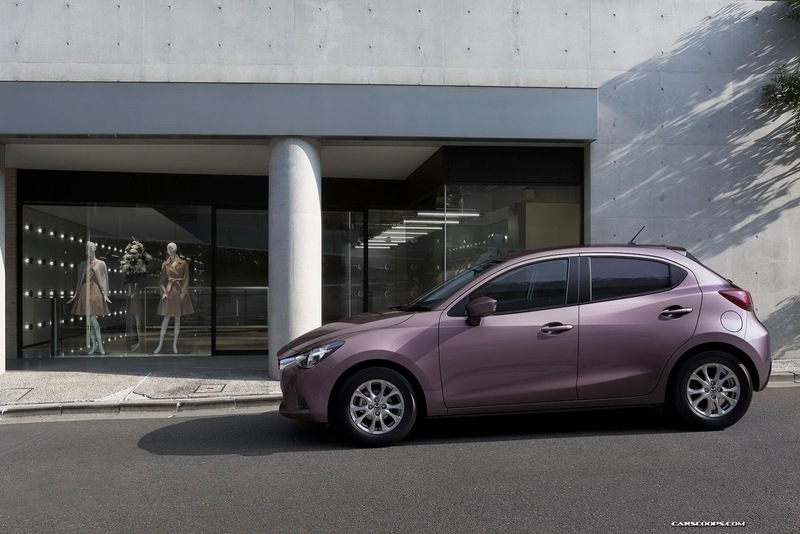 Seen here in Japanese specification, the new generation Mazda2 is strongly influenced by the Hazumi concept exhibited at the Geneva show in March, displaying same edgy ‘Kodo’ design language as the latest Mazda3 compact and Mazda6 mid-size models. 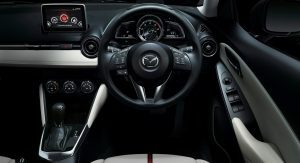 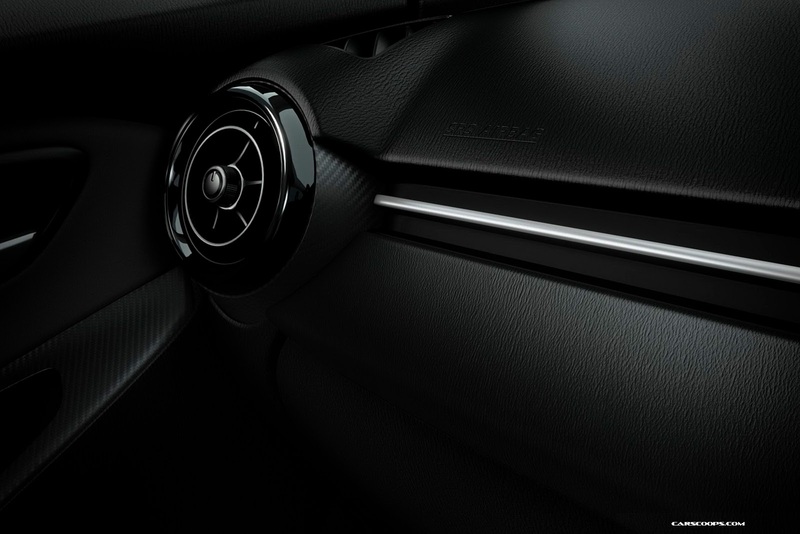 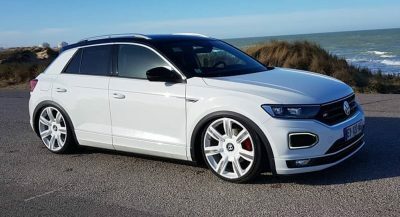 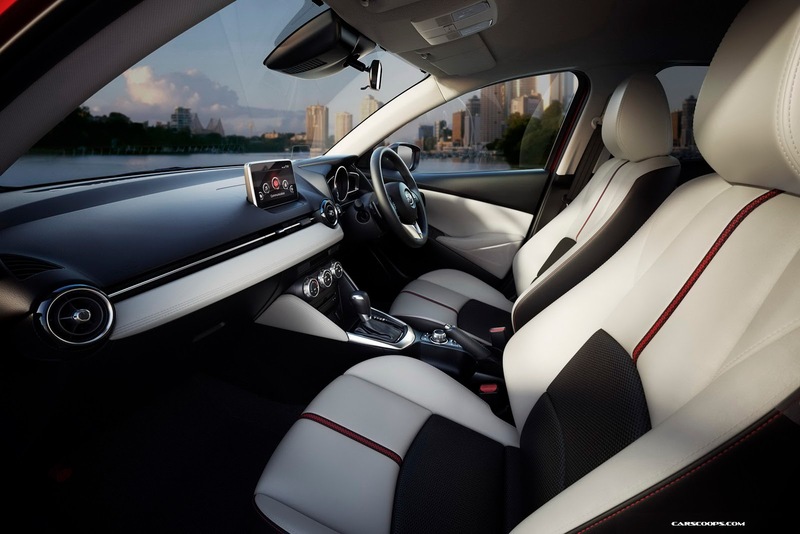 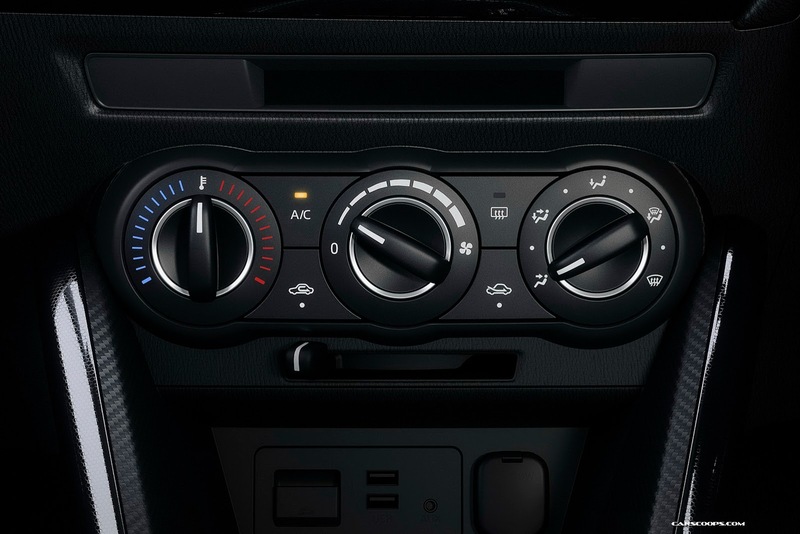 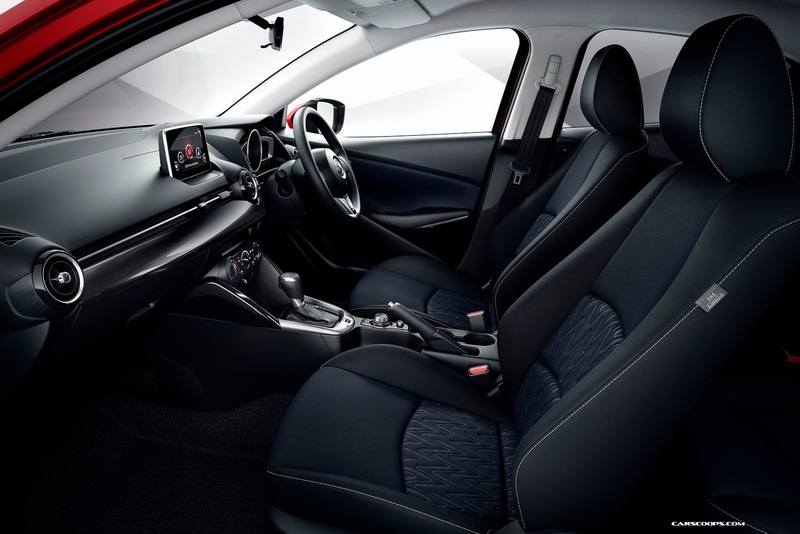 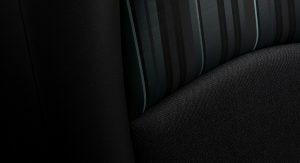 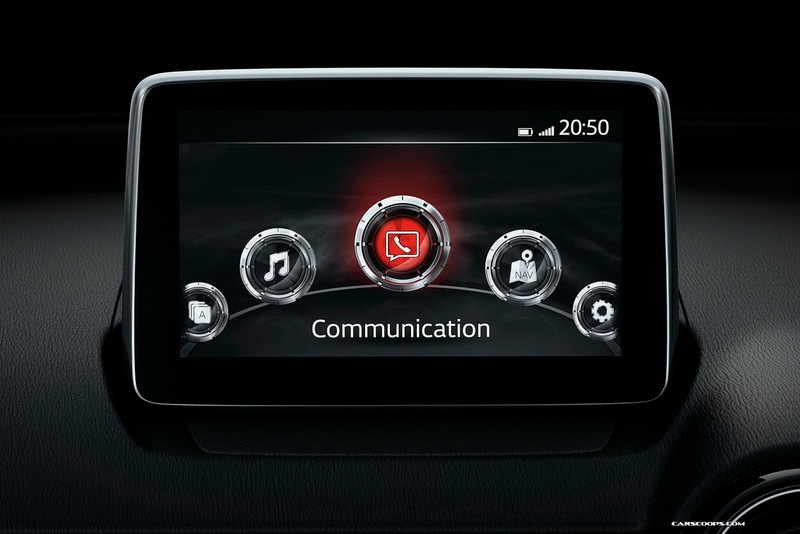 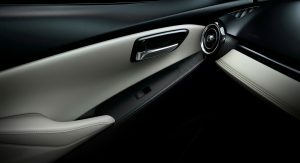 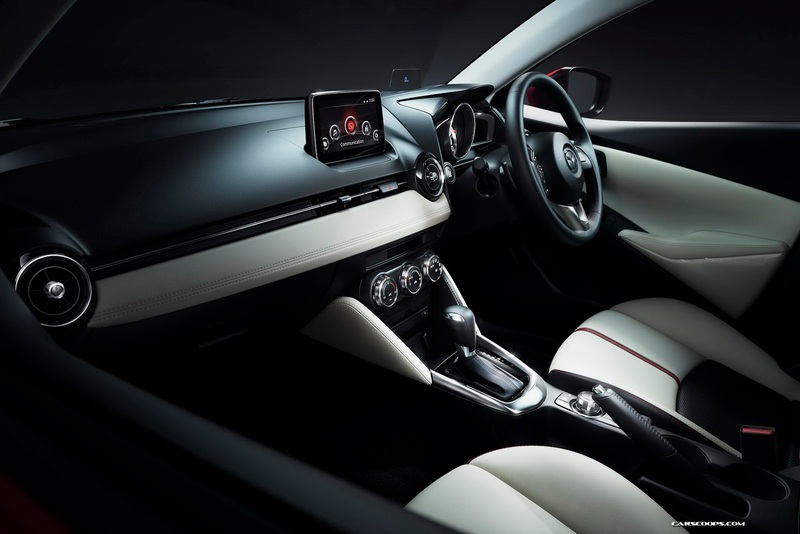 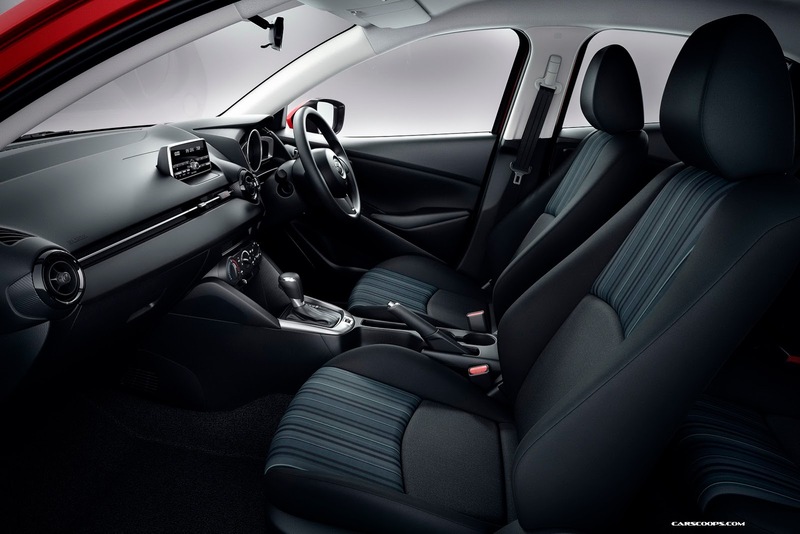 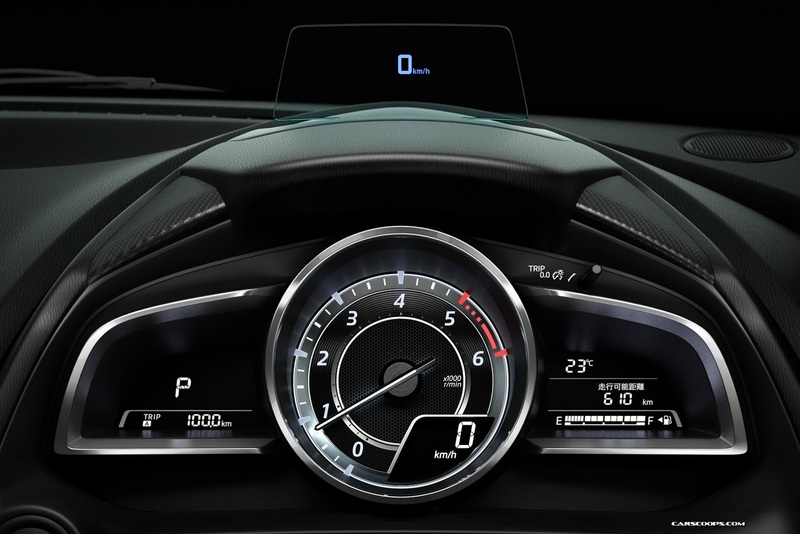 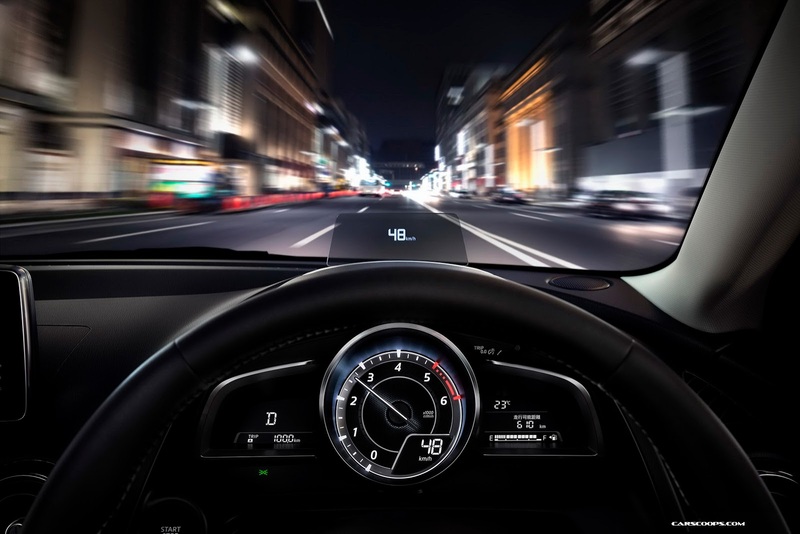 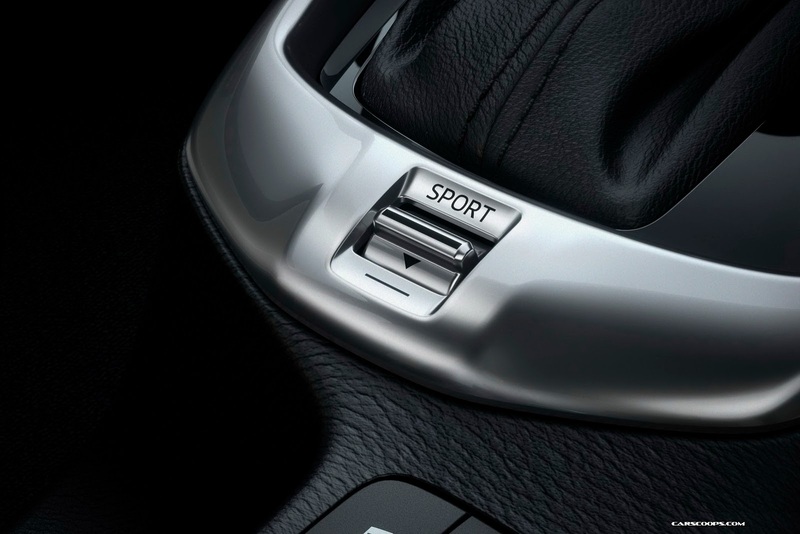 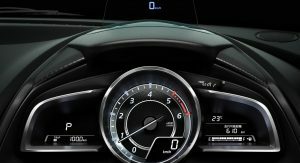 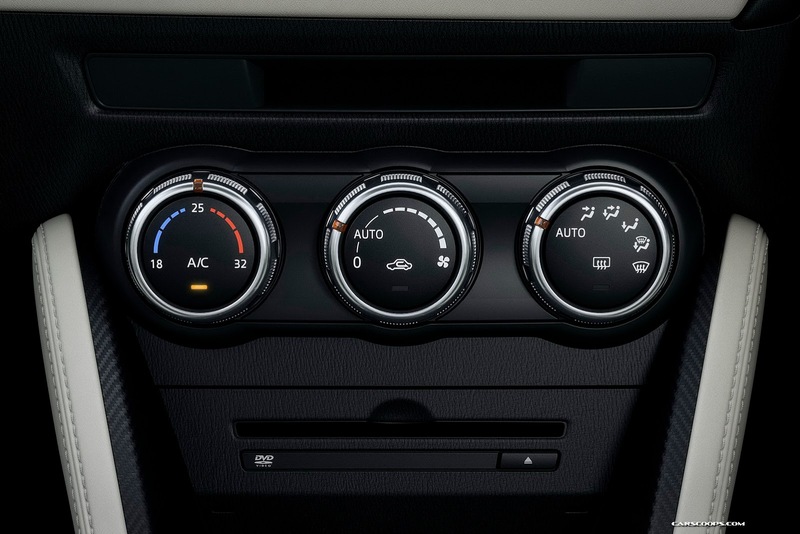 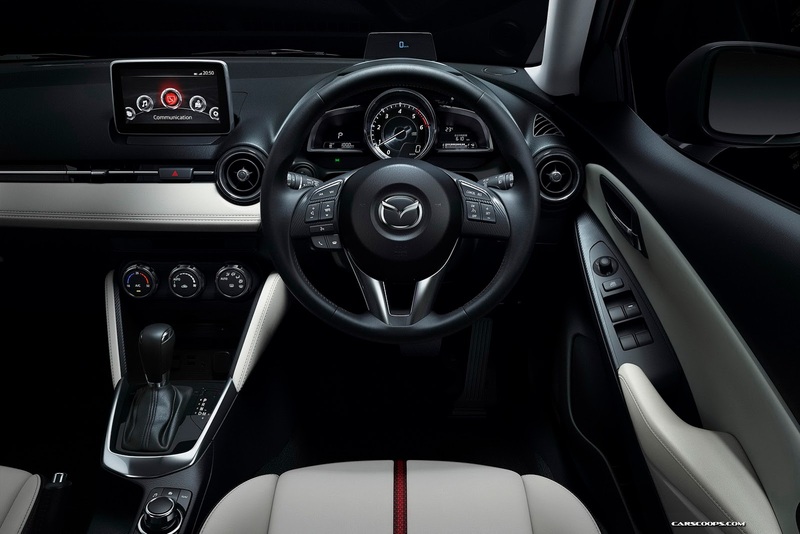 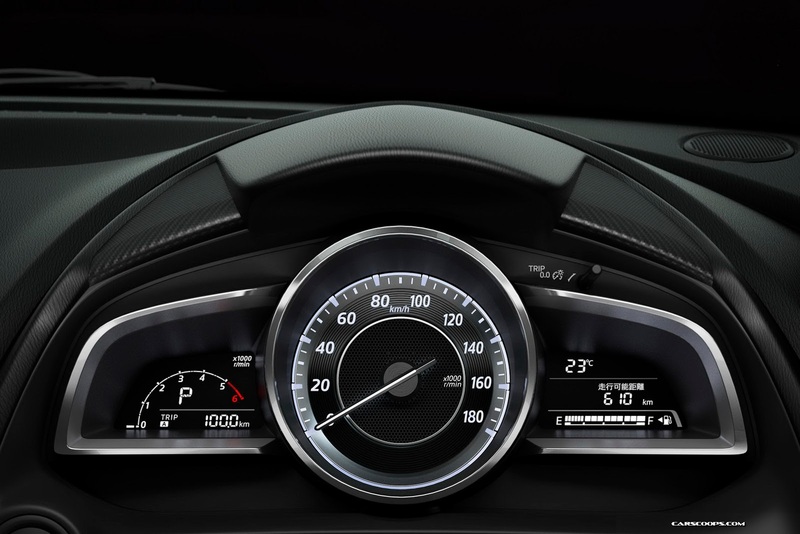 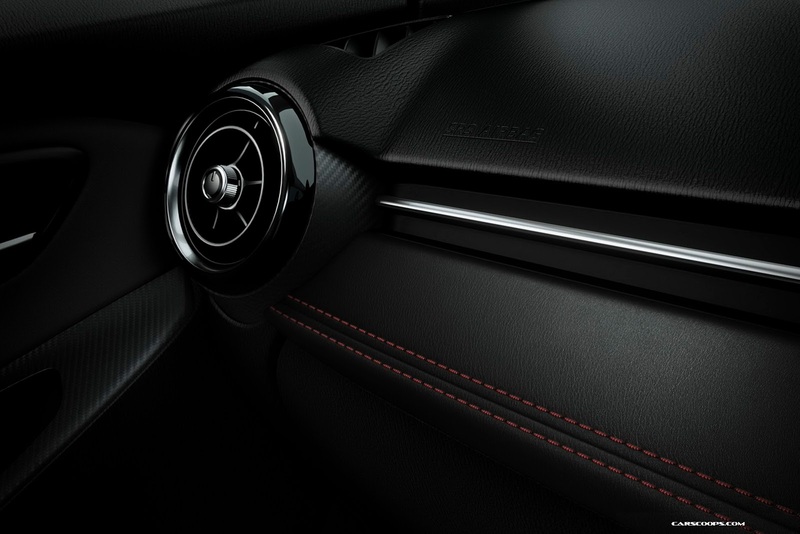 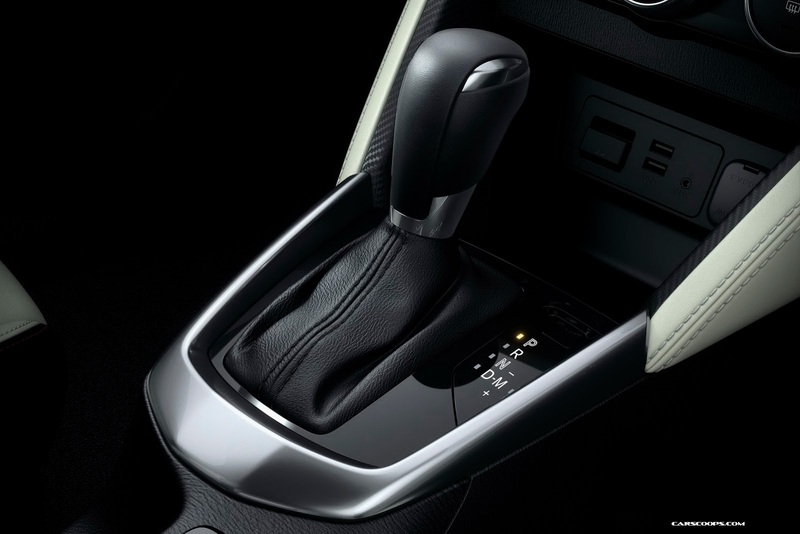 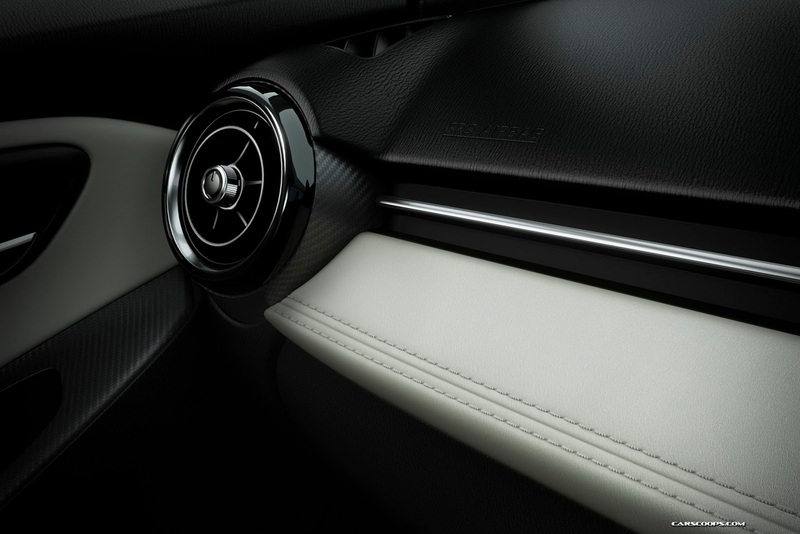 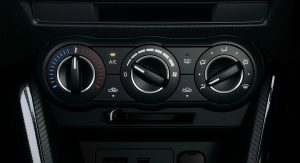 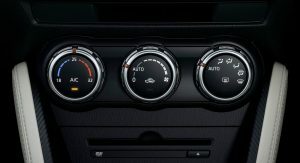 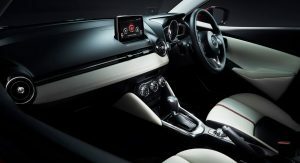 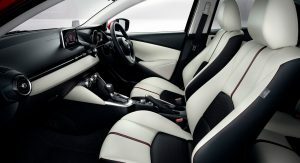 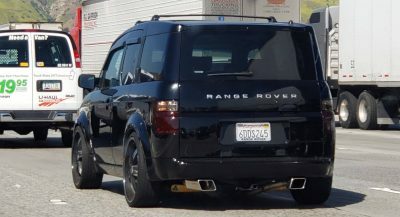 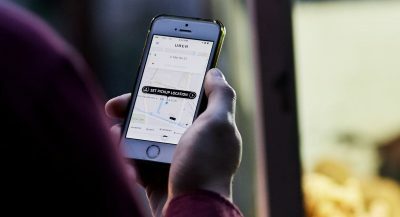 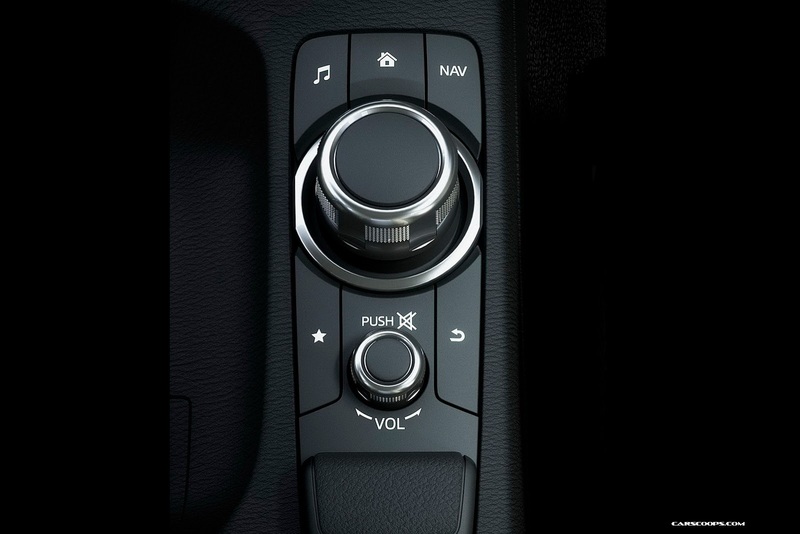 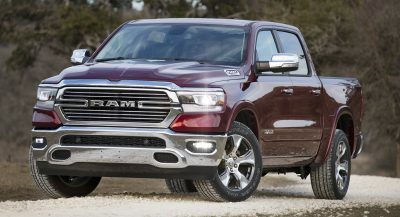 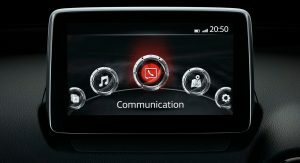 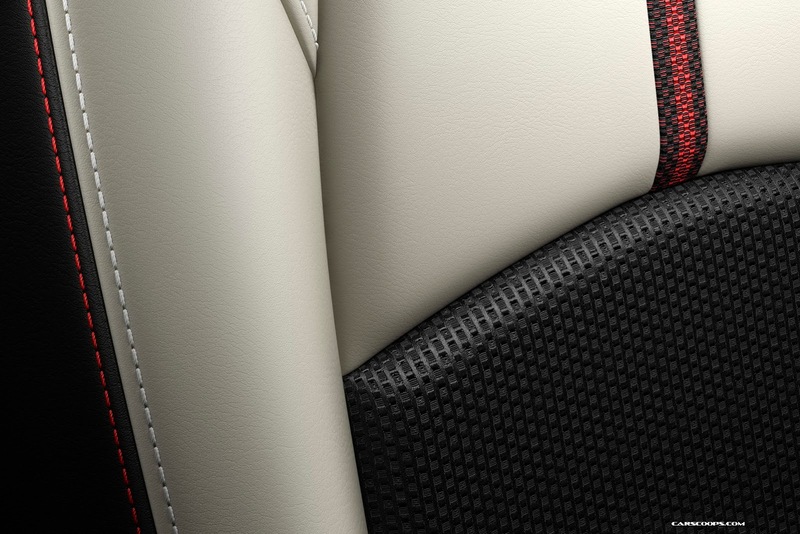 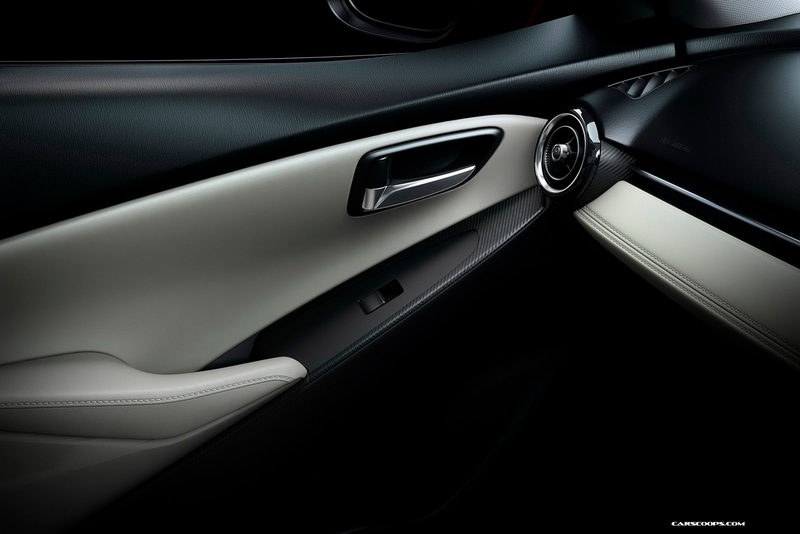 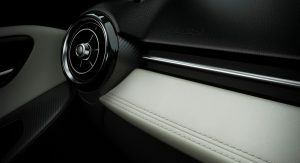 The same holds true for the clean looking interior that can be had in different colors and trims, with highlights including a tablet-style touchscreen on top of the dash, controlled via a rotary dial located next to the handbrake lever, and a heads-up display option. 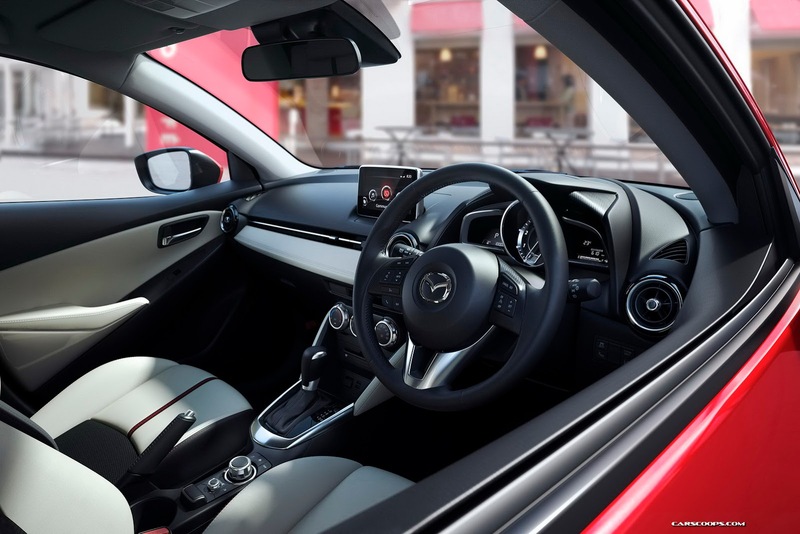 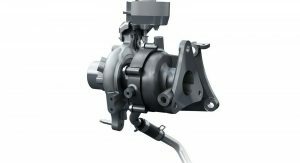 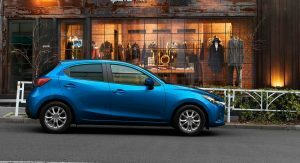 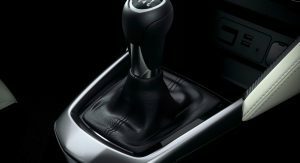 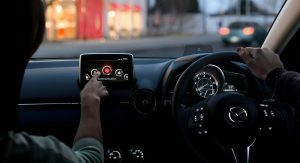 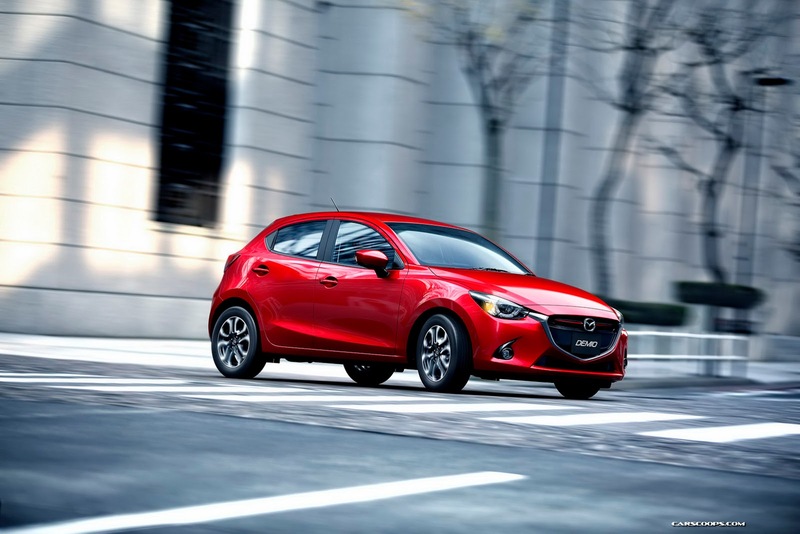 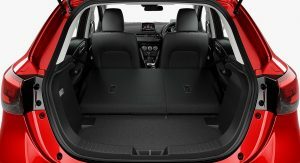 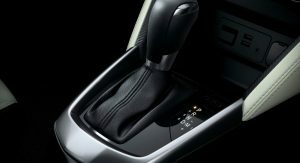 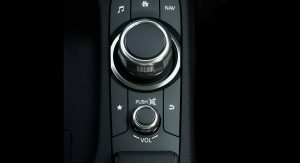 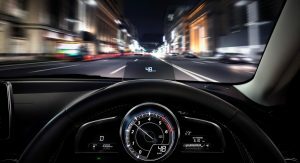 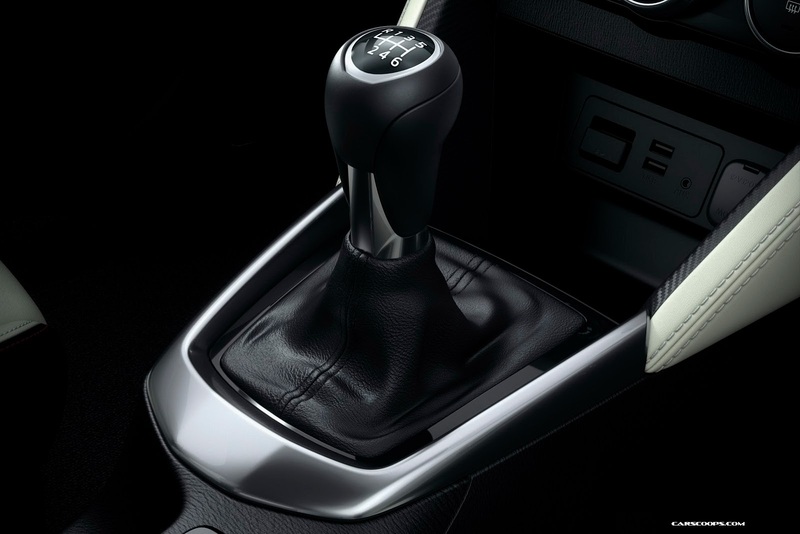 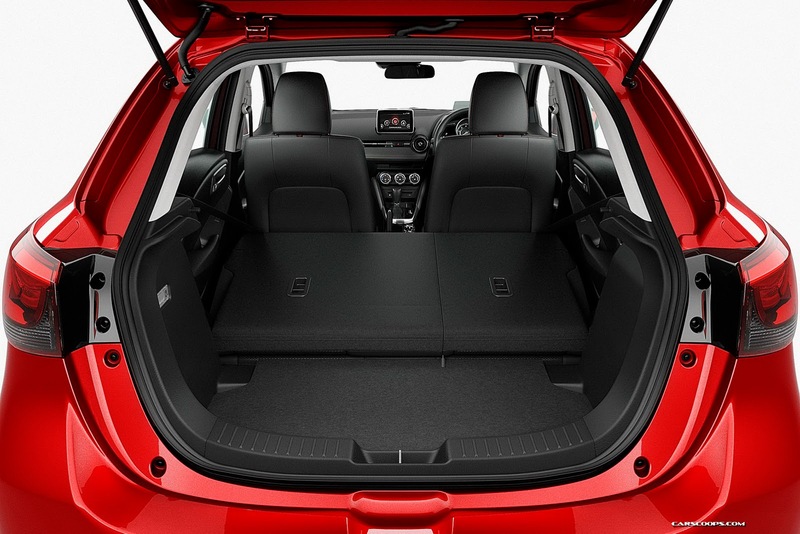 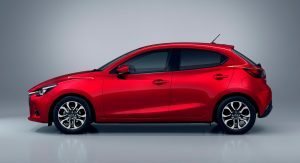 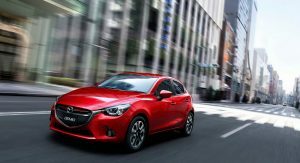 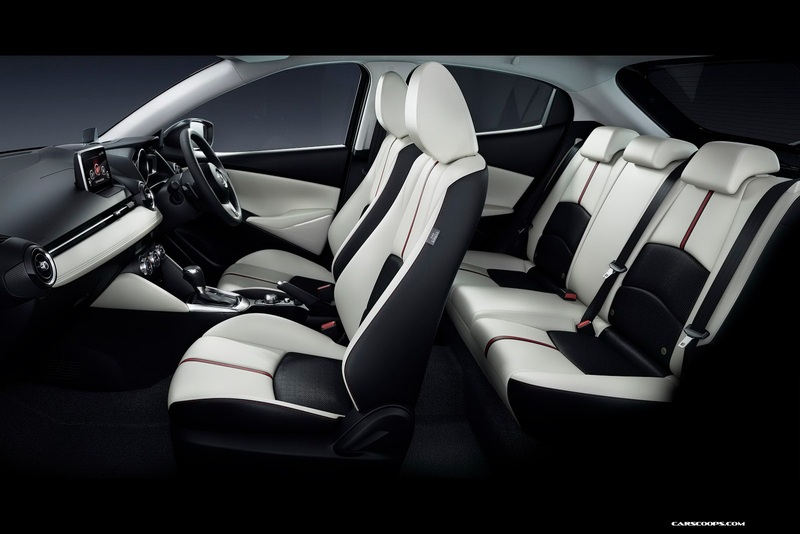 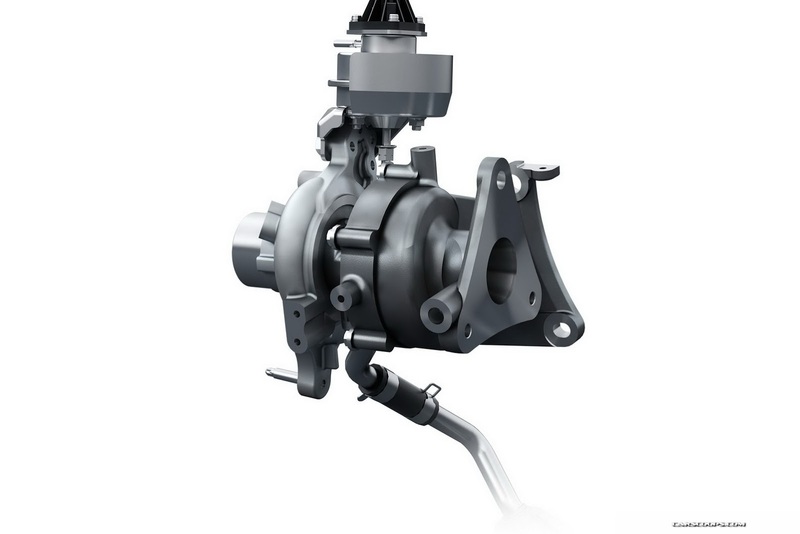 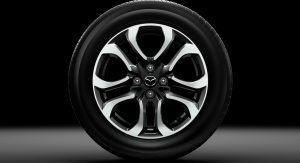 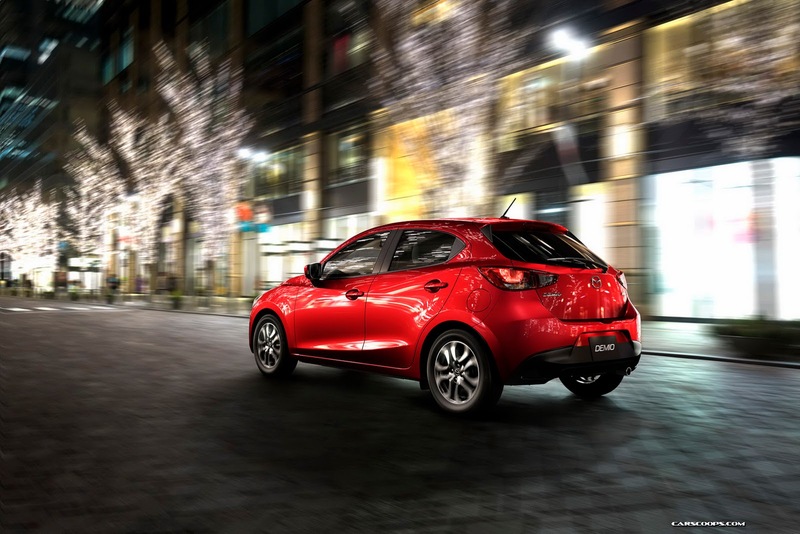 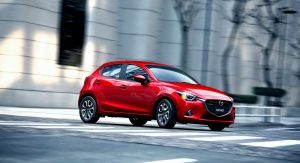 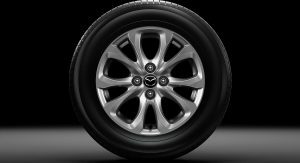 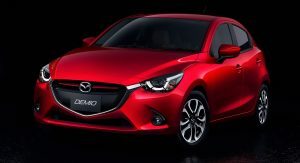 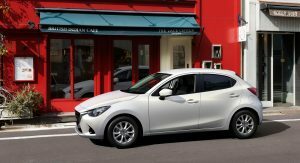 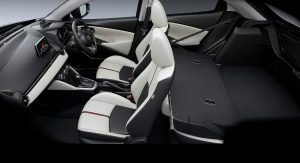 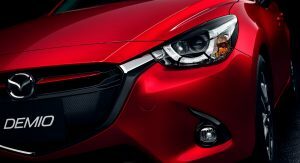 Mazda was pretty stingy with the details, but it did say that the new sub-compact hatch benefits from a full suite of lightweight and efficient SkyActiv technologies including engines, transmissions, body, and chassis. 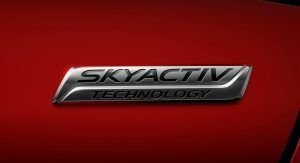 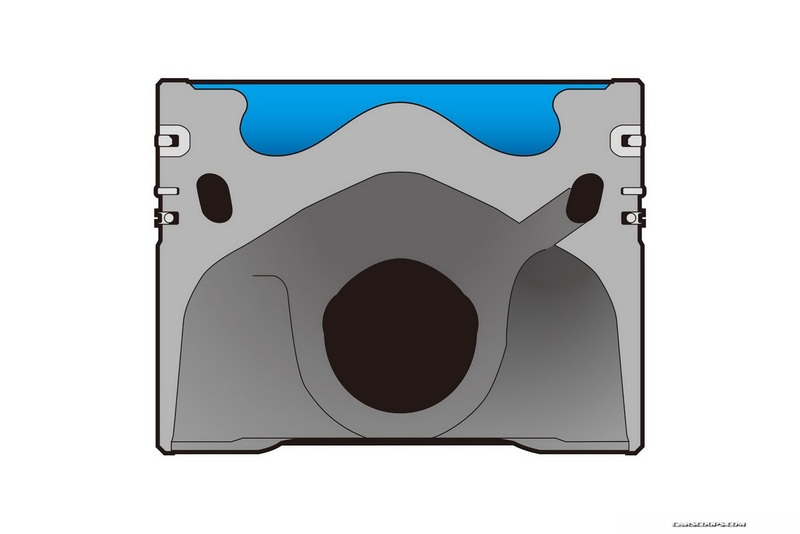 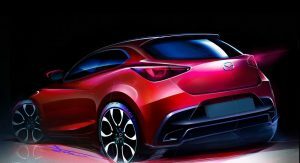 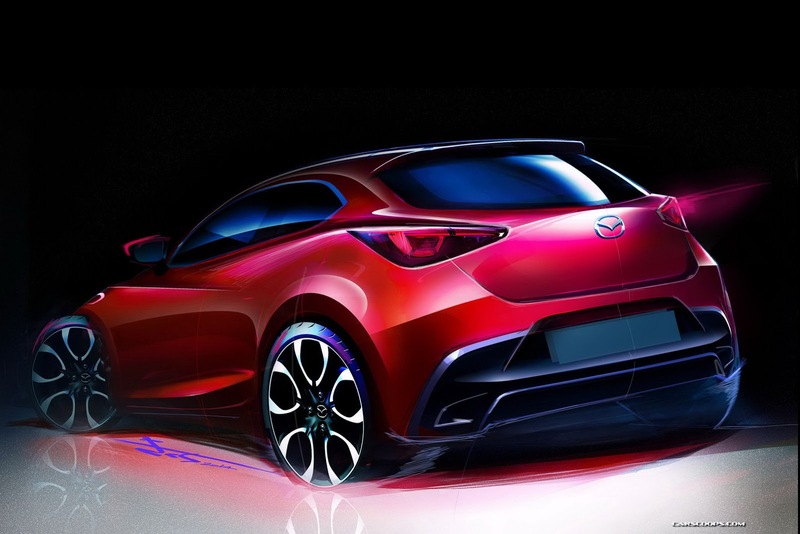 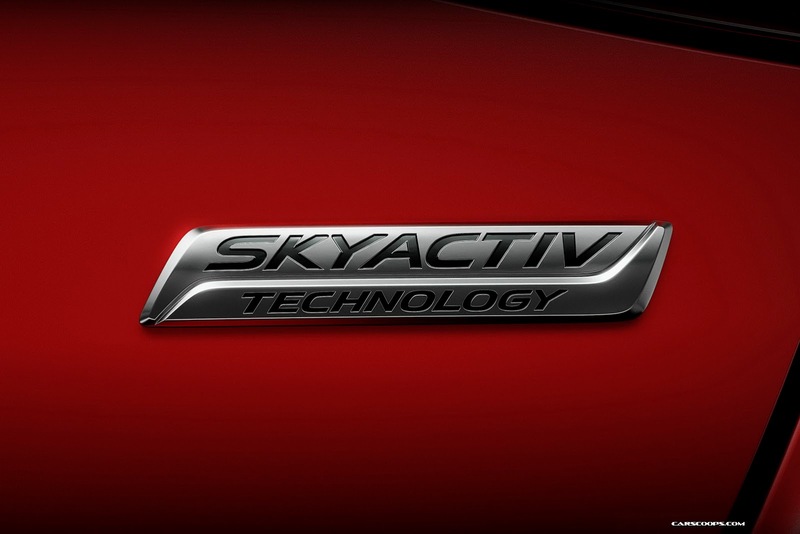 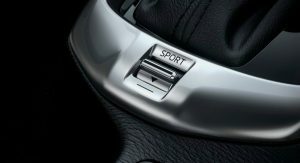 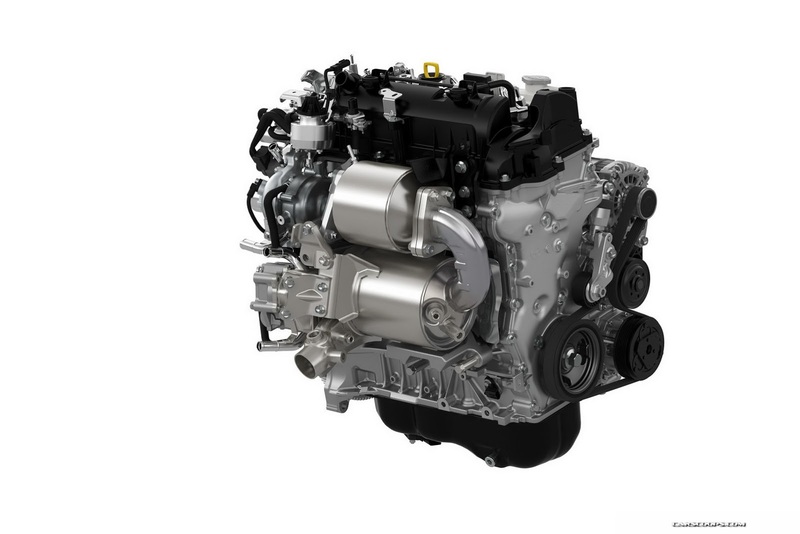 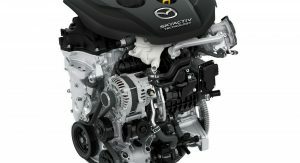 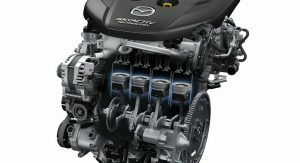 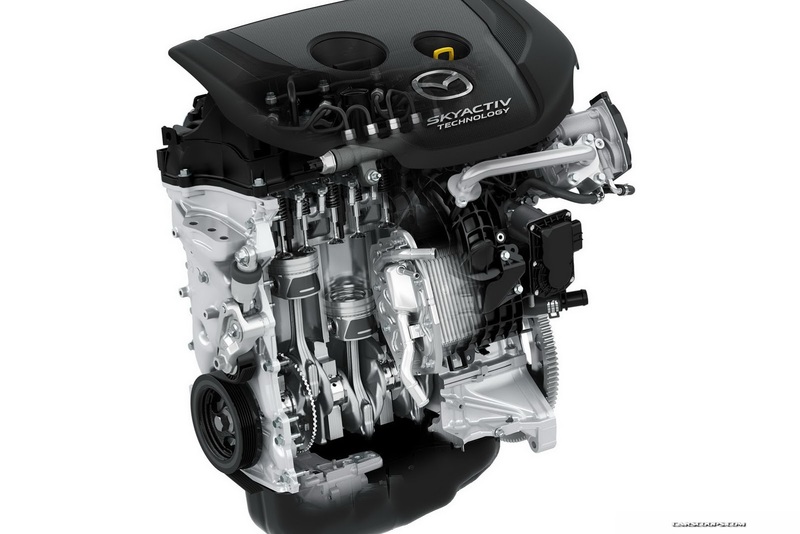 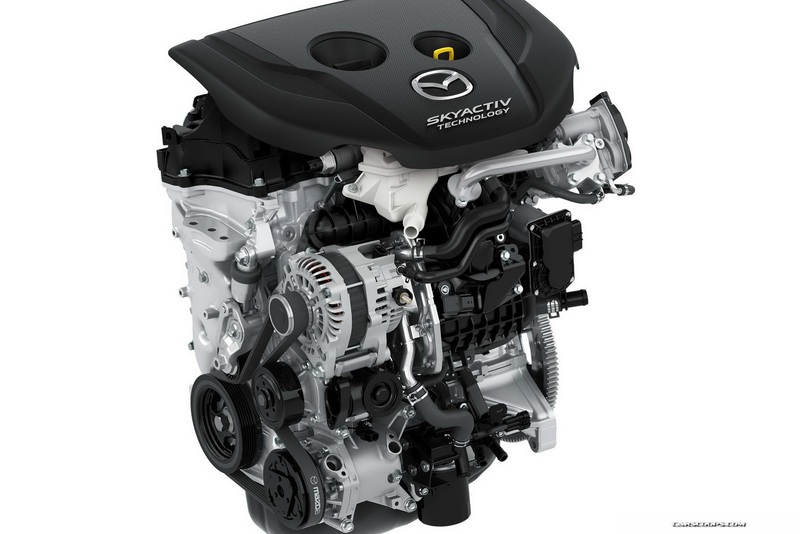 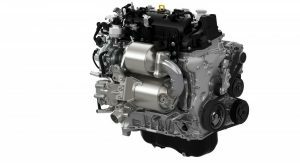 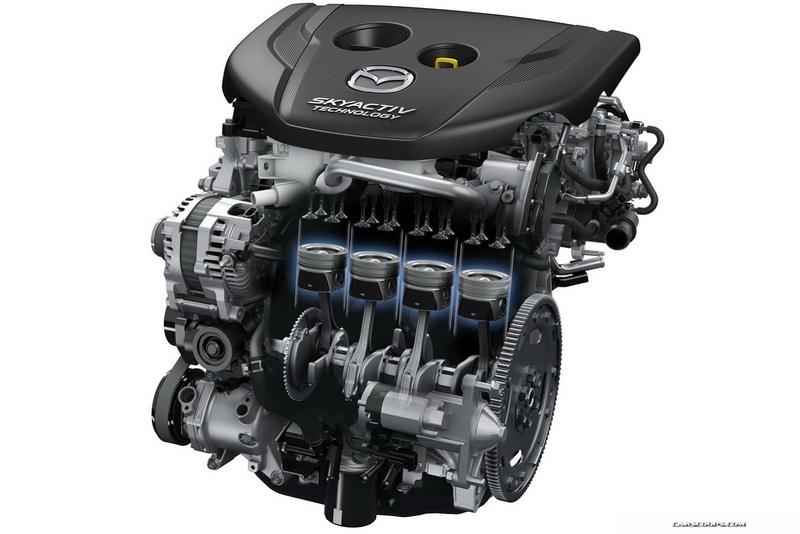 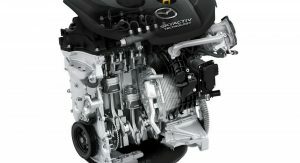 Depending on the market, the new 2 will be offered with up to three engines at launch, including the SKYACTIV-G 1.3-liter and 100PS (99hp) 1.5-liter gasoline units, and the 105PS (104hp) SKYACTIV-D 1.5-liter diesel, matched to 6-speed manual and automatic transmissions. 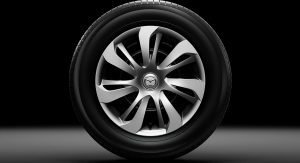 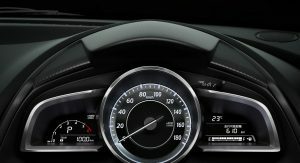 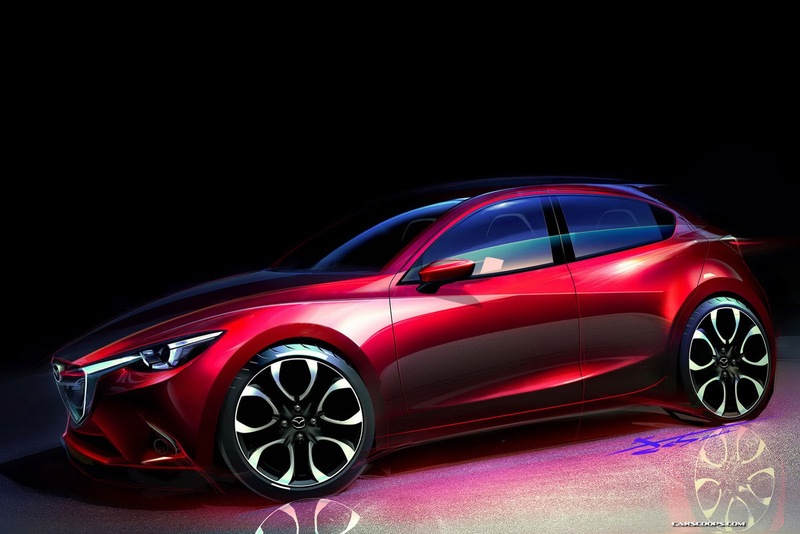 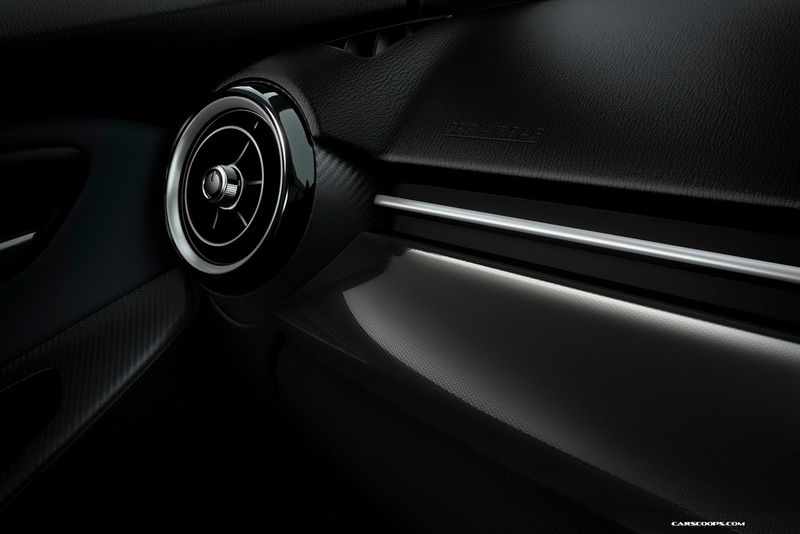 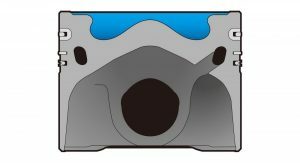 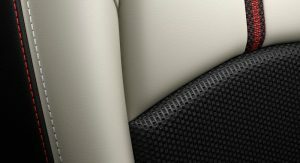 Expect the new Mazda2 to have similar dimensions to the Hazumi Concept that measured 4,070mm long, 1,730mm wide and 1,450mm tall. 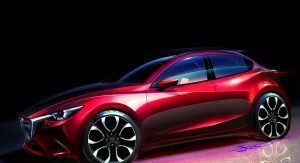 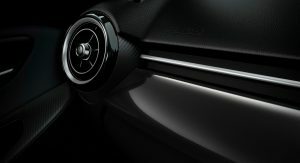 Mazda said it will hand out more details on the new 2 later in the year. Next PostNext Skoda Fabia's First Official Sketch Looks Great, but Will the Real Car Resemble it?